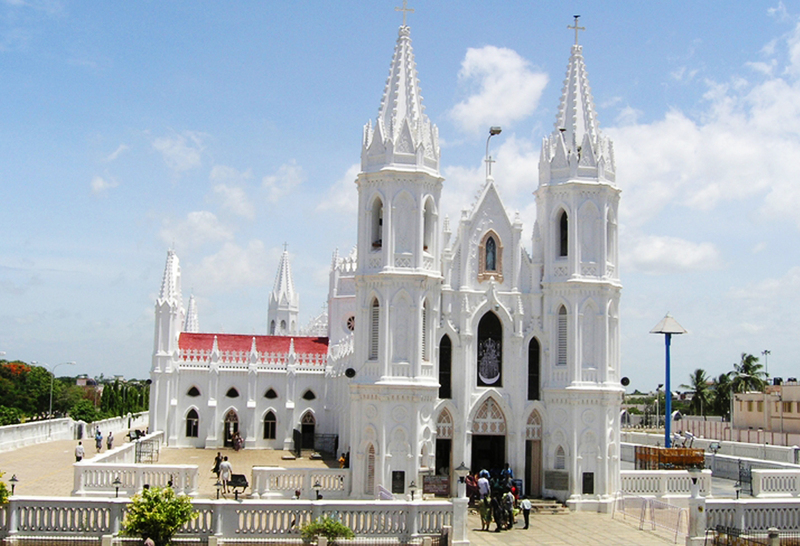 Last time I’d been to Velankanni was in 2006 to celebrate Christmas along with the family. After that we’d been planning since last two years or may be even more to visit again . I had made a vow which I had to fulfill. For some reasons, the trip kept getting delayed. Finally it was in October that the divinity came calling. Long weekend in the first week was the best bait. 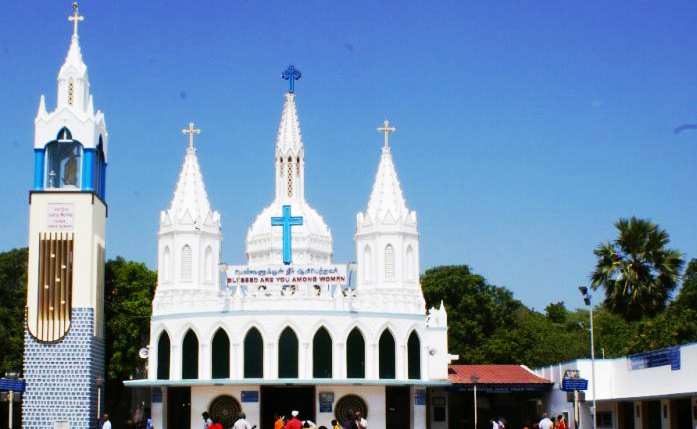 Velankanni, situated in the Nagapattinam district of Tamil Nadu, is home to one of India’s biggest Catholic pilgrimage centres. It is the Basilica devoted to Our Lady Of Good Health… to me, she’s simply Mumma Mary. We checked-in in the wee hours. Couple of hours rest, freshening up and a South Indian breakfast later, it was time for church. It was 11 am and sun was already at its beaming best. Gosh! it was blistering hot! Armed with umbrellas and scarves, we hailed a pre-booked auto and headed to the church. The sun was killing and the crowds were maddening. There was queuing, jostling and shoving in every place. In such conditions, there was no way we could hold up our umbrellas. It was a long weekend and people from nearby states like Andhra Pradesh and Kerala had also flocked in. There was no way we could have survived the burning heat. So after getting kebab-ed and sandwiched we decided to give up and returned to our resort. Plan B was to visit in the evening and so we did. The impeccably beautiful Basilica is built in Gothic style of architecture. 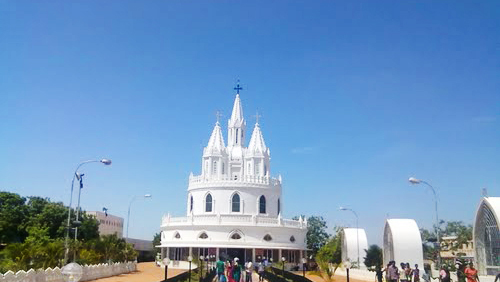 It contains three Chapels, Our Lady’s Tank, Church Museum, Priest’s Residence, Offering Centre, Stations of the Cross, Stations of the Rosary and Shrine Mega Mahal. The Church is pristine white, except for the roof that is striking red in colour. You can feel an explosion of rapture, faith, hope and divinity everywhere! We attended the 6.30 pm mass in Tamil, a language completely out of my world. I didn’t understand a word of what the priest was saying. But the hymns were divine. I’ve attended the Malyalam masses before, whenever I missed the English ones. And I’ve always loved their exotic hymns. Although Tamil and Malyalam are the languages beyond understanding, the sound and the rythm of their hymns touches the heart . Cameras are banned inside the church. So couldn’t manage to click. Hotels and lodges are generally packed, specially on weekends and public holidays. Room availability is sub-zero. With no options left, people put up in the church premises with their families and belongings. Anything for God, literally! Offering are made for wishes to be blessed. Offering are also made after the prayers are answered. 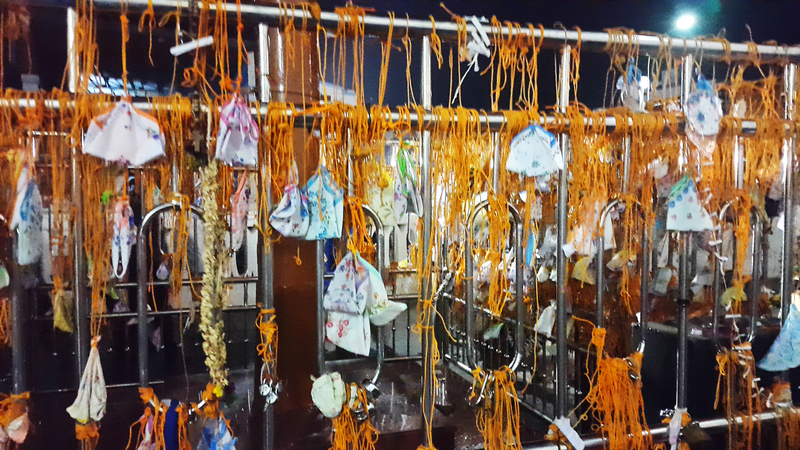 The locks, hankies and orange colour threads were tied to a sacred spot outside the church and also to some trees in the vicinity. The Way Of Cross: Its amazing how faith makes us do the unthinkable. Even if its hurting our own selves….it doesn’t matter as far as the Lord hears our prayers, cries. Here, people walk on their knees in the sand, chanting prayers, some alone, some in groups. Some of the men even had their kids on their shoulders while they waddled through the blistering sand, exhorting the Lord. Its a kilometer to the church. Oniel, my husband, did half the distance. His knees were totally bruised and took a week to heal. Wonder what must be happening of those people who do the entire stretch! The Adoration Church : Was built as a memorial of a historic event. Its this place where the Blessed Mother Mary is believed to have appeared to a lame boy. 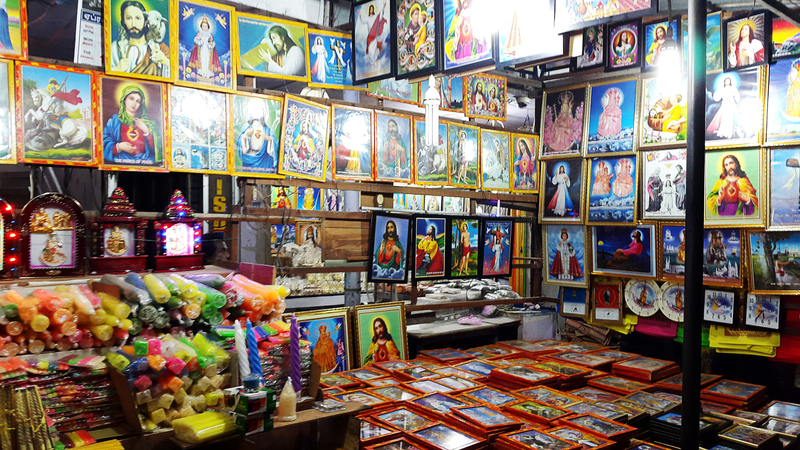 There are various shops that sell stuff from photo frames, threads that are said to be blessed by the priests, lockets, candles, idols, CDs of hymns, etc. After taking a tour of the church surroundings, we headed to the market. 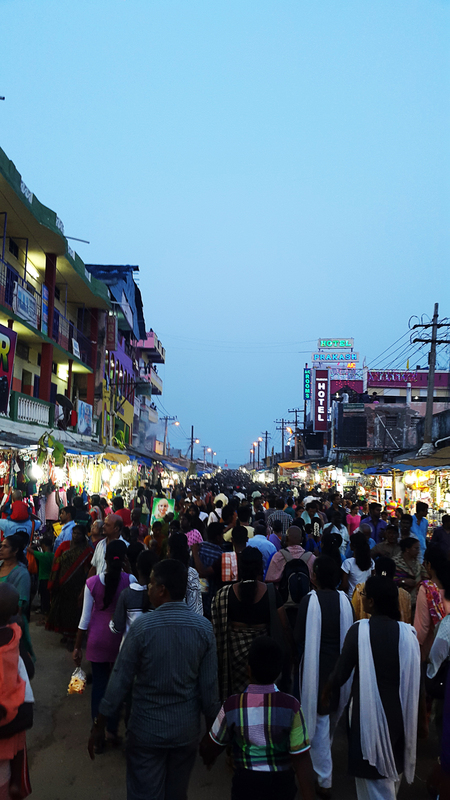 Extremely crowded and abuzz with people from in and around Velankanni, the market is famous for each and every element it has to offer. Lets get started…. Countless salons where people (ladies included) shave off their hair as an offering to the Lord. Also there are pint-sized photo studios where you can click a picture alongside an idol of Mother Mary and get an instant print-out of it. I took one as a souvenir. 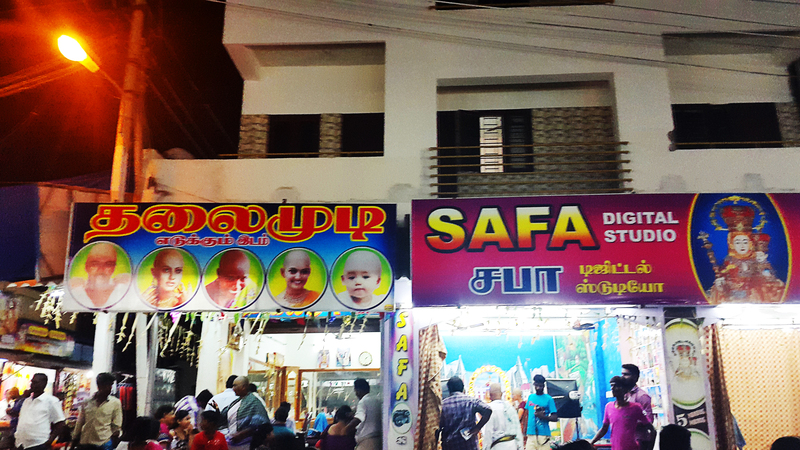 Shops selling spices, sweets, South Indian style earthen ware, handis, toys, clothes. The shopkeepers have their Pandora’s box of stories to tell about the Tsunami that hit Velankanni the most in December 2004 and how they managed to survive and hit back. This way goes straight to the beach. Take a glimpse at the sea of people! Tired shopping? 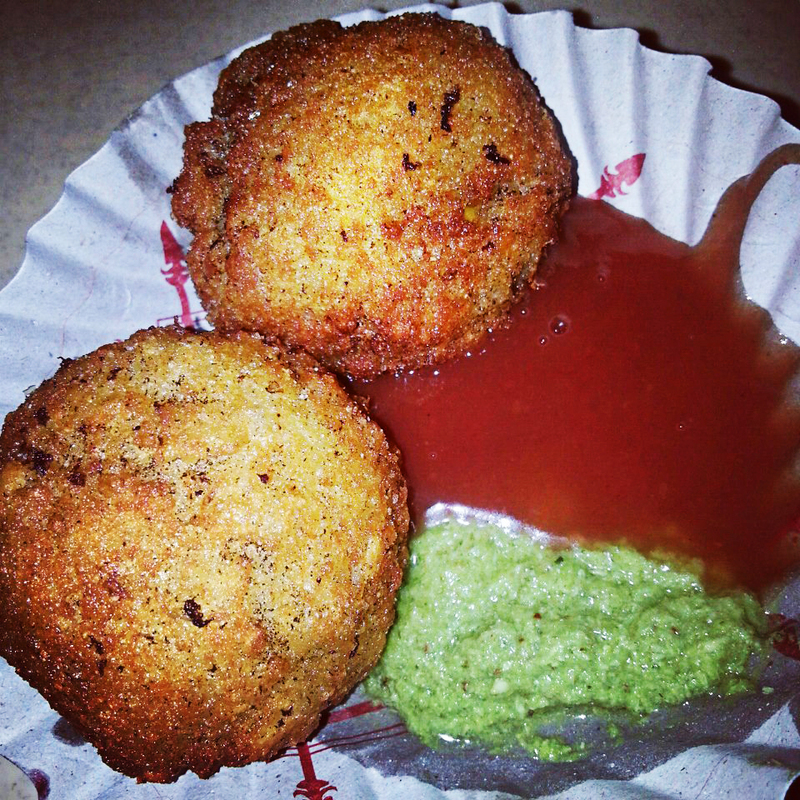 Gorge on the traditional deep-fried wonders – Raw Banana Fritters or Daal Vada with the spicy chutney. Or gulp down some fresh, cold fruit juices and lassi. Fainting was the last thing we could have on the menu. So we decided to eat. Baskar Hotel at the end of the street offers an unobstructed view of the sea. The place is quiet extensive with a humble seating of plastic tables and chairs. Getting there: Nearest airport is Tiruchirappalli International Airport, 165 kilometres away and Chennai International Airport, 300 kilometres away. We took a flight from Mumbai to Chennai. Alternatively, you can take a train from CST, Mumbai to Chennai. It takes anywhere between 23 to 25 hours. From Chennai, its a distance of 325 Kms, i.e. around 6 hrs 30 mins drive on NH45. We liked the bus service of Rathimeena Travels. You can log on to www.rathimeena.co.in for bus timings and online booking. Another option is you can pre-book a cab. Staying There: There are all kinds of hotels to suit all kinds of pockets. Hotel Picnic and Hotel Seagate are at a stone’s throw distance from the church and offer good rooms and rates too. Others are VPN Residency, MGM Velankanni, Clinton Park Inn, etc. We ran out of options so booked ourselves at GS Resorts which is a bit farther. Booking a hotel closer to the church is a good option…cuts down on travel time and cost too. Commuting is very expensive here. Getting Around: Your hotel can help in booking an auto or a cab. Its better to pre-book and decide the cost rather than heckling with the drivers later. Language is a major barrier here so communicating with the drivers is like verbal-wrestling with all that sign-language and stuff. Eating Out: Clinton Park Inn has a good restaurant of its own where even outsiders are allowed. Market area and the sea-side are loaded with small restaurants and eateries. 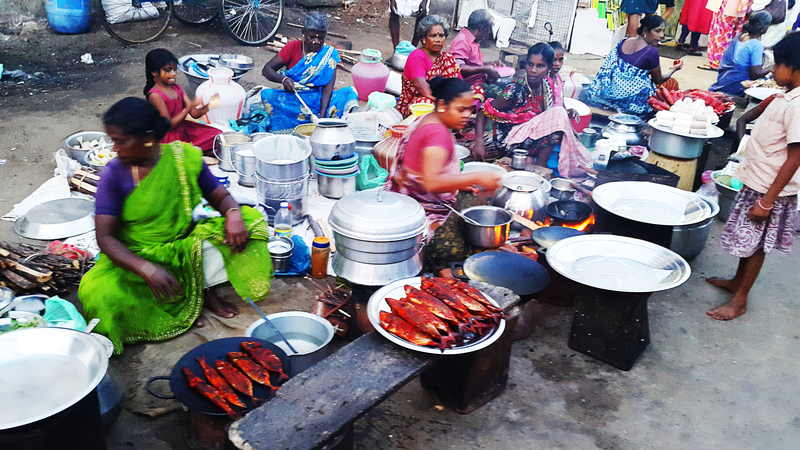 Shopping: Velankanni market is the best place to shop for sovenirs, spices, sweets and earthen utensils. The Beet-Root Halwa is a must-try. 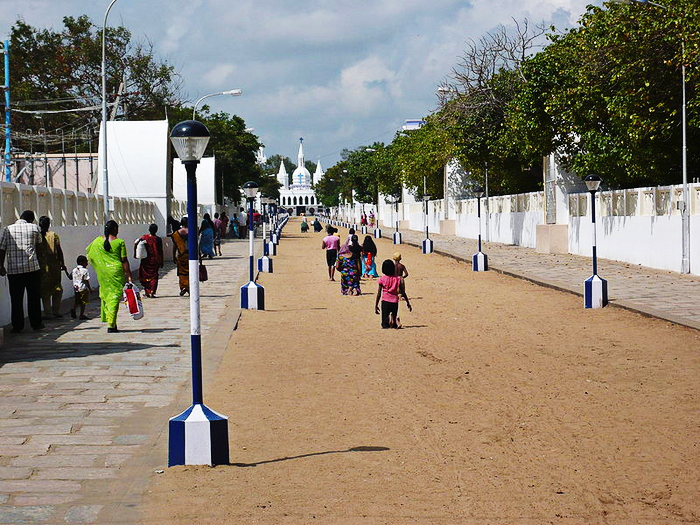 All About Loos: Bus doesn’t halt between Chennai to Velankanni. So make sure you use the loo at the airport or railway station before starting your journey. Few Tips: Try to plan your trip on weekdays to avoid crowds. Also plan in colder months to avoid the blistering heat. Aroma of burnt firewood wafting through quaint villages, houses that are a gift of the Portuguese, bike rides through the long, meandering alley-ways, slower than slow laid-back life and food that’ll make you thank your Gods….Well, I can gab on and on. 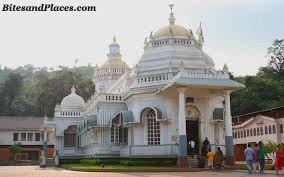 South Goa is mesmerizing, although little bit conservative when compared with its Northern brother. We reached our resort at 3.15 pm. Tiredness had totally consumed us. Freshening up and an hour of quick nap later we scooted out to reach before time for the Benaulim sunset. Getting into into the skin of a true photog, I pulled out my DSLR, balanced myself on the rear seat of the bike and grabbed a quick click of the setting sun glaring through the palms. And boy! was it stunning! Within those few hours we’d done quiet a lot. A yummy dinner of Shark Amotik, Fried Fish and Rice at Martin’s Corner and we headed back home. Mr. Marcus, a quirky Goan fella, was our driver for the day. He drove us to the Dudhsagar Waterfalls. Number of stories were shared and number of cats were let out of the bag during that one hour drive. Some jaw-dropping revelations included smuggling of deer meat for Rs. 5000 a kilo, sold to some bigwigs. 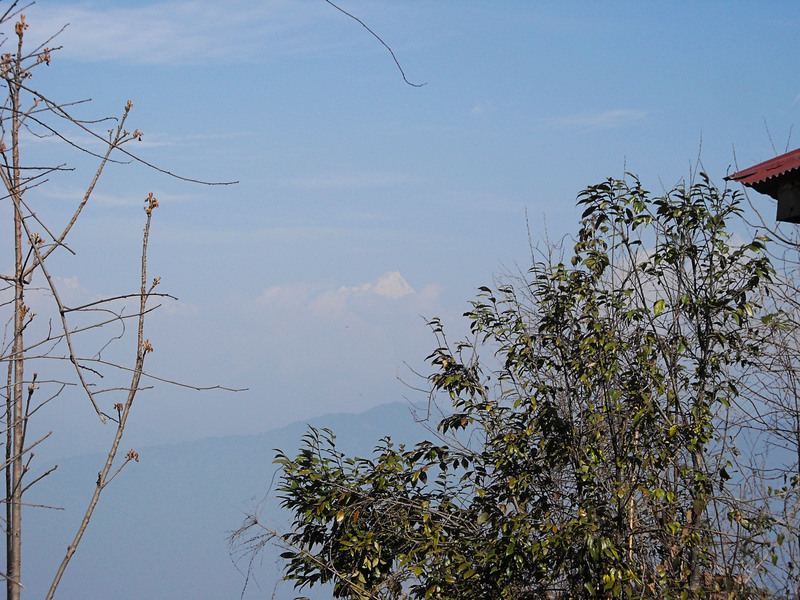 Are the Forest Officials listening? Marcus dropped us at a particular spot. Further, we hired two bikers (Rs. 500 each) who rode us to the waterfalls. Jeeps were the other option, but we being the intrepid sorts, opted for the bikes. The ride is epic and seriously not for the fainthearted. I’d piggybacked Deepak, the sole bread-earner of his family. His brother was a miner, who is now jobless since mining is banned in Goa. Talking to Deepak somehow diverted my mind off the scary, bumpy road…atleast for a while. Oniel had scarier tale to tell. His bike had dysfunctional brakes. His rider revealed this to us after we returned back safely from the falls. Our efforts seemed rewarded after the first glimpse of the falls. We clambered and sat on one of those huge rounded rocks, resting our feet in the cold waters and glaring at the majestic milky white waters that came splashing down. The Madgaon Express cutting through the falls, brought back Oniel’s childhood memories and there was nostalgia all around. From waterfalls to spices… Marcus drove at an incredible speed to reach the Tropical Spice Plantation (www.tropicalspiceplantation.com) in time for lunch. I’d been to one of these in Kerala and also during one of my earlier trips to Goa. I’m always game to visit these precious little kitchen beauties in their natural habitat. But this time I was too famished to pay any attention to what the spice guide was speaking. All I could see was the exquisite Goan lunch that sat there in earthen pots in the open air restaurant. 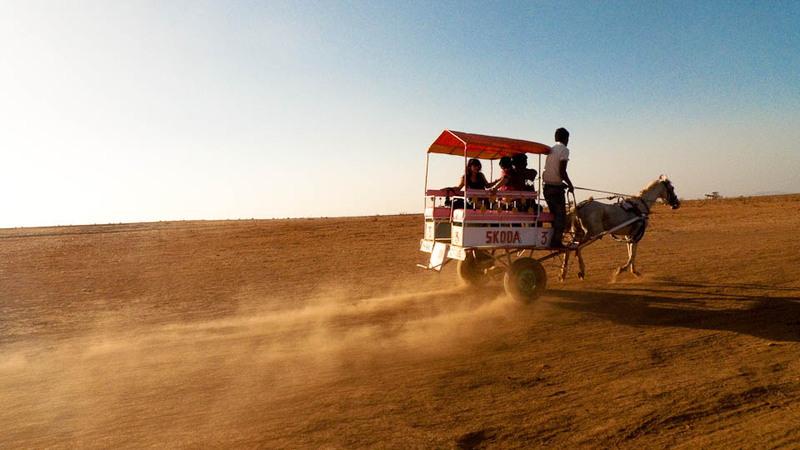 Elephant rides, bird watching in paddle or row boat are some of the other activities that can be done here. It was 3, so we bid adieu to the spices and drove to the Bondla Wildlife Sanctuary, better known as the Bondla Zoo. Deer, Sambhar, Tiger, Lions, Leopards, Fox, Snakes are few of its wild inhabitants. The sanctuary also boasts of Deer Safari, Botanical Garden, Nature Education Centre and Nature Trails. There are also tourist cottages run by the Forest Department. After a hearty tour of the wild, in the wild, we returned home. The muscles were in revolution already. So we rewarded them with a spa so relaxing that we were almost lulled into stupor. That was a perfect end to a perfect day! All great journeys ought to begin with a hearty breakfast. That’s exactly what we did before herding our nerds to Old Goa… All by ourselves on the bike. 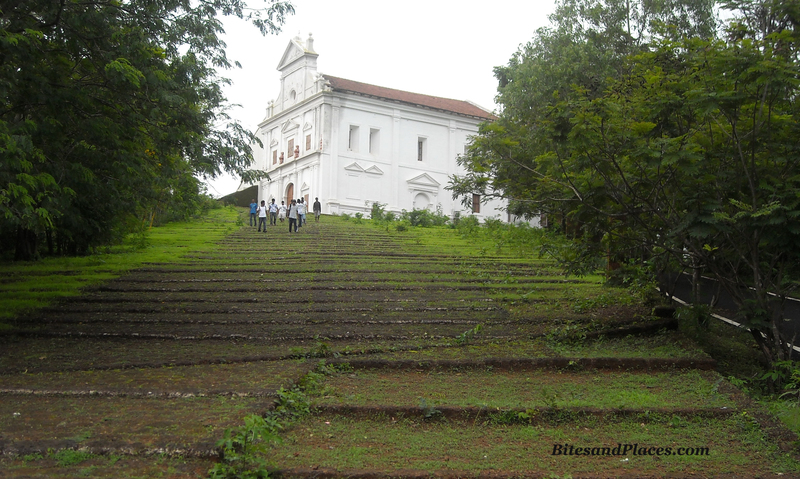 Old Goa! Whispers of the past grandeur linger in this place… in those beautiful ancient houses which the Portuguese left behind for us. Many of them are in a dilapidated state and leave you teary-eyed. Those are the heritage that need a healing touch. Else, we’ll never realize when they fade into oblivion. 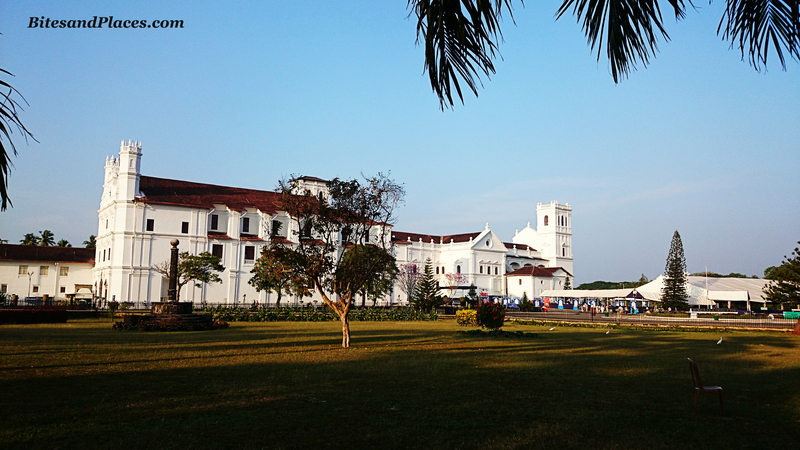 Se Cathedral: one of the oldest and most celebrated religious buildings in Goa with a typical Portuguese architecture. 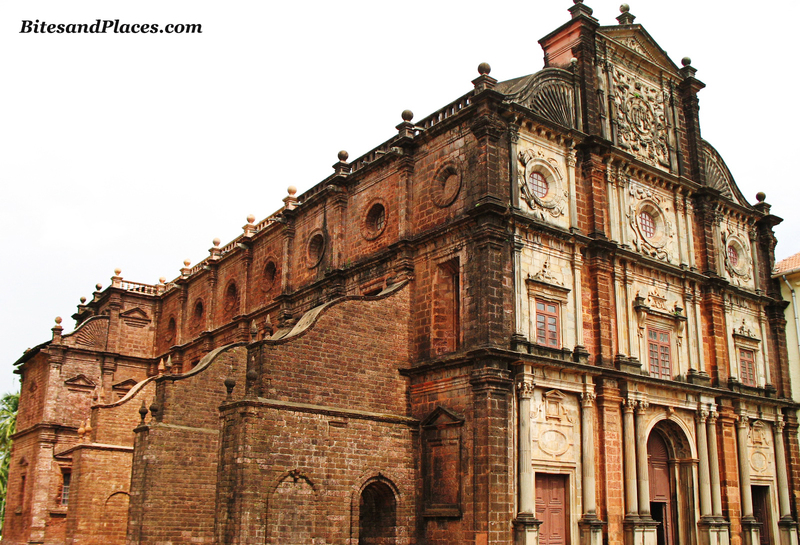 Basilica Of Bom Jesus: the UNESCO World Heritage site which also has the mortal remains of St. Francis Xavier. The body is on exposition once in a decade and millions of pilgrims from all over the world throng to get a glimpse of this great disciple of Christ. 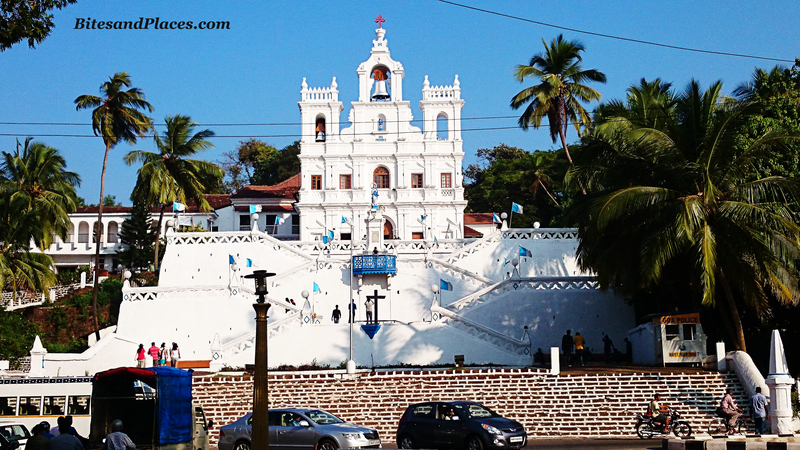 Our Lady Of Immaculate Conception Church: this pristine looking church in Panjim has been in existence since 15th century. Mangeshi Temple: Eponymous with the revered musical family of Mangeshkars, this beautiful temple is a must visit. 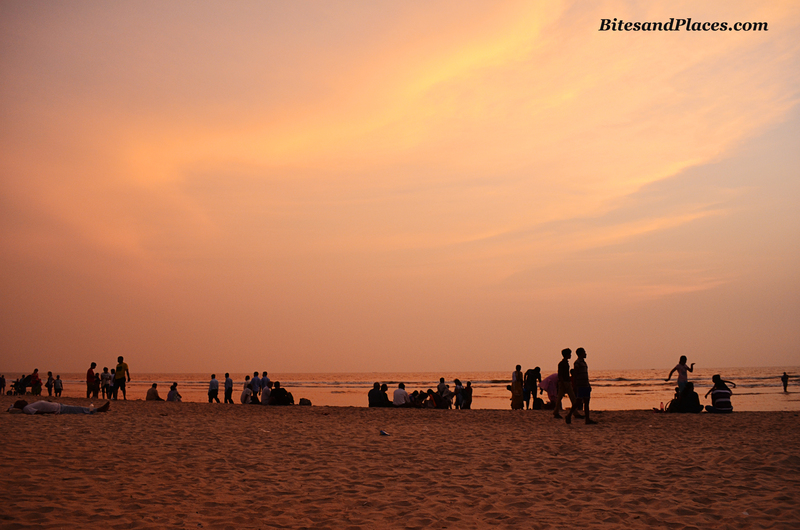 Of the various beaches in South Goa, Benaulim, Colva and Palolem are most active of the lot. By active, I mean the beach activities, nightlife and food. There are numerous water-sports that you can try your hands on like parasailing, jet ski and speed boat rides. Or just take a leisure walk on the golden sands by the sea. 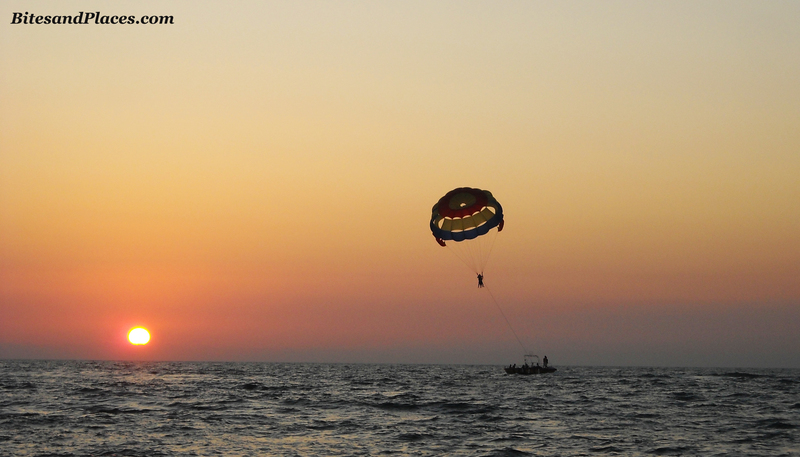 We did parasailing in Colva and it was mindblowing. At Palolem beach you can try your luck at spotting a dolphin or two. Whereas, the lesser known Galjibag beach is a breeding ground for Olive Ridley Turtles. There’s a whole lot of options to explore and suiting all pockets. 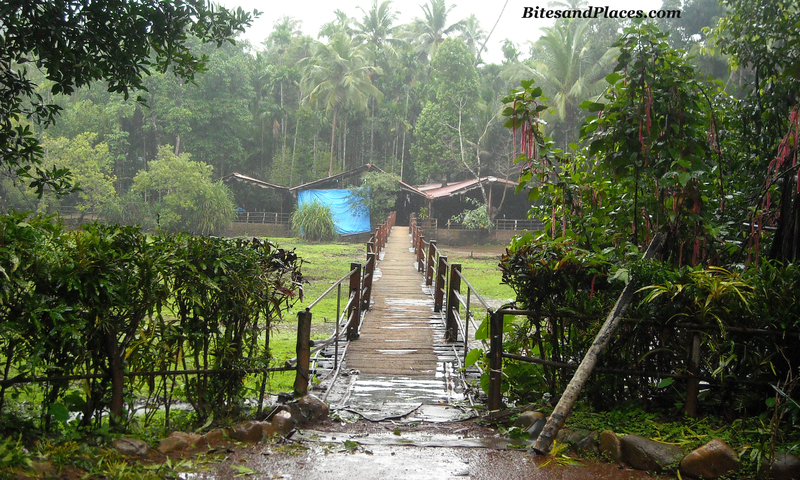 We stayed at Raj Resorts located just a kilometer away from Bogmalo beach (http://www.rajresorts-goa.com/). Check out the “Hotel Reviews” section to read more about our experience. Beach Shacks: strewn around beckon you to take a bite or two. The sea-food you just cannot resist. There’s cut-throat competition which only benefits us tourists. The food is lip-smacking in any shack you go. We visited Sam’s Goan Beach Shack (Majorda Beach). Its pushed farther from its original place. You can dial Sam and he’ll guide you to it. Speaking to him we understood that it was the competition-turned-jealousy-turned-ugly legal matters that made him shift. We loved their Fried Red Snapper and the service. Calamari Beach Shack (Dando Beach) and Sasha Restaurant (Varka Beach) are great dining options too. Restaurants: 1. Martin’s Corner (Betalbatim) – a famous and snazzy joint peppered with bit of glamour. Mind your dress code here. 2. Sheela Bar And Restaurant (Vasco) – They don’t have a menu. Chicken Rosemary, their specialty dish, is a tribute to the owner’s mommy who invented this recipe in her home kitchen. Her name is Maria Rose! 3. 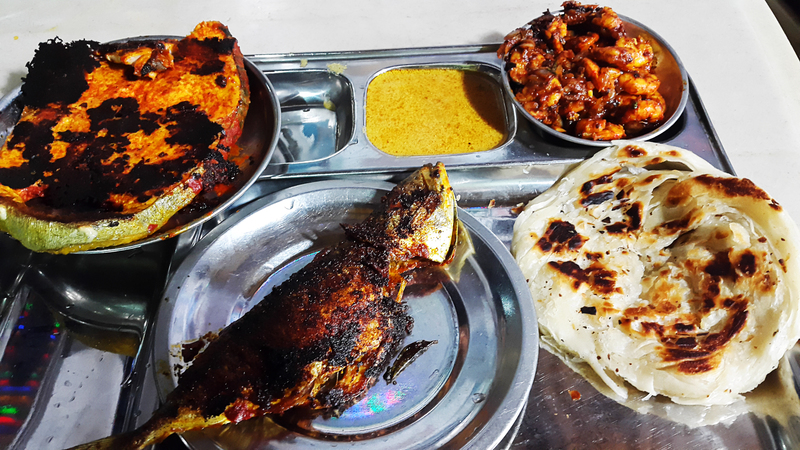 Chef Fernando’s Nostalgia (Madgaon) – famous for its Sorpotel, Sannas and Stuffed Crabs. 5. 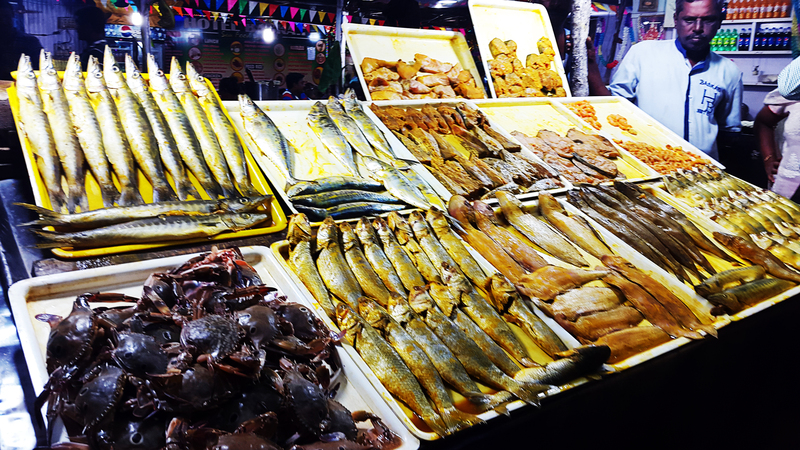 Fisherman’s Wharf (Cavelossim) – try their fried King Fish and Crabs. Finger-licking good! 6. 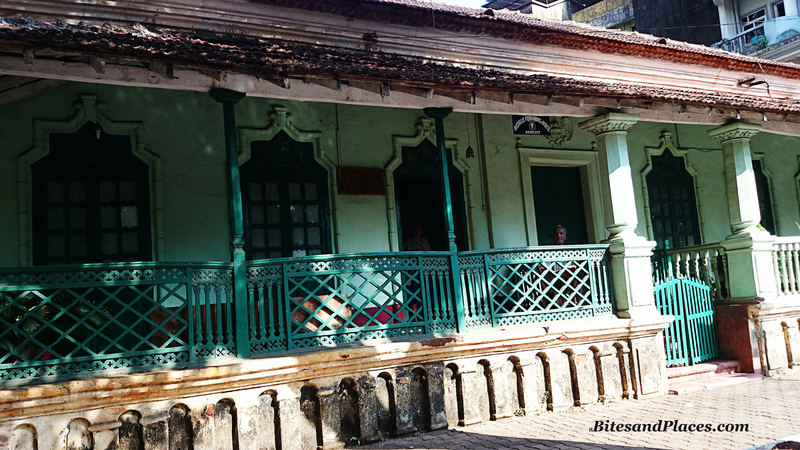 O’ Coqueiro (Bardez) – Charles Shobraj, the infamous gangster was arrested while dining here one evening. They even have a figurine of him sitting in the balcony. Shop for clothes, shoes, bags, souvenirs, etc. at one of the many roadside stalls strewn around whichever beach you visit. All you gotta have is Negotiation de Excellence and a whole lot of cash. Seriously! You’ll shop till you drop…. 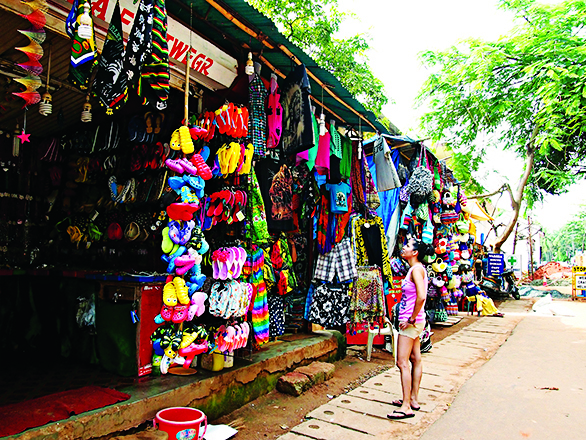 Market: Madgaon Market is a shopper’s haven. Spices: Did you know it was the Portuguese who introduced Goa and even India to chillies? The aroma is enough for the spices to land in your shopping bags. Buy the Reshado Masala, Shakuti (Xacuti) Masala, Ambotik Paste and Vindaloo Paste so you don’t miss these flavors back home. 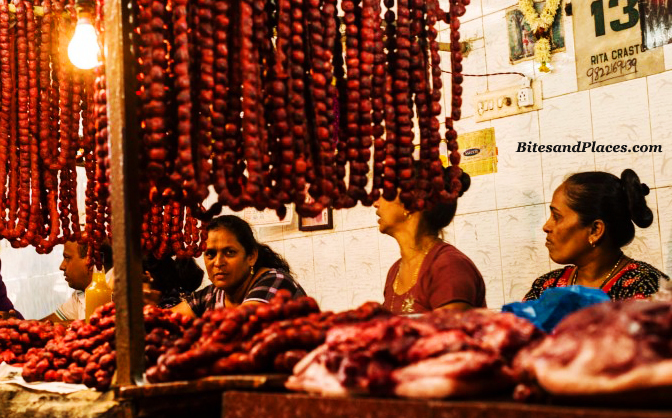 Sausages: How can you forget the dark, red, bursting-with-flavors Goan or Churiso Sausages! They are hung in huge clusters and are very much homemade. Try the elusive Sausage Pulao or devour them fried with chilled beer. Pickles: Don’t you dare forget to buy the famous spicy, tangy seafood pickles. Molho (pickeled prawns), Para (dried mackerel), Bombil pickle (dried Bombay Duck) and the Tendli pickle(Ivy Gourd). I love the Para and the Tendli ones. 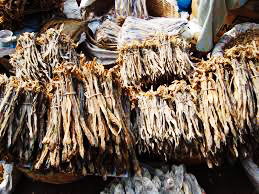 Dried Fish: Go for the sun-dried Bombay Duck (Bombil), Mackerel (Bangda), Prawns, etc… but only if you can bear the smell. They can be cooked in many many ways and taste delicious. Feni: The liquor exclusively produced in Goa is made either of Coconut or Cashews. Yep. It ain’t sold elsewhere apart from Goa. To be in Goa, you really need to have a voracious and a monstrous appetite. An appetite for places, people and food. You can’t have Goa in just one bite. You need to come here again and again and again and yet there’ll always be something new to be discovered. Soaring peaks, breathtaking valleys, lush flora, cool, crisp mountain air, simple and friendly people and the spicy and delicious food! This is Mahabaleshwar, Maharashtra’s most popular hill station. 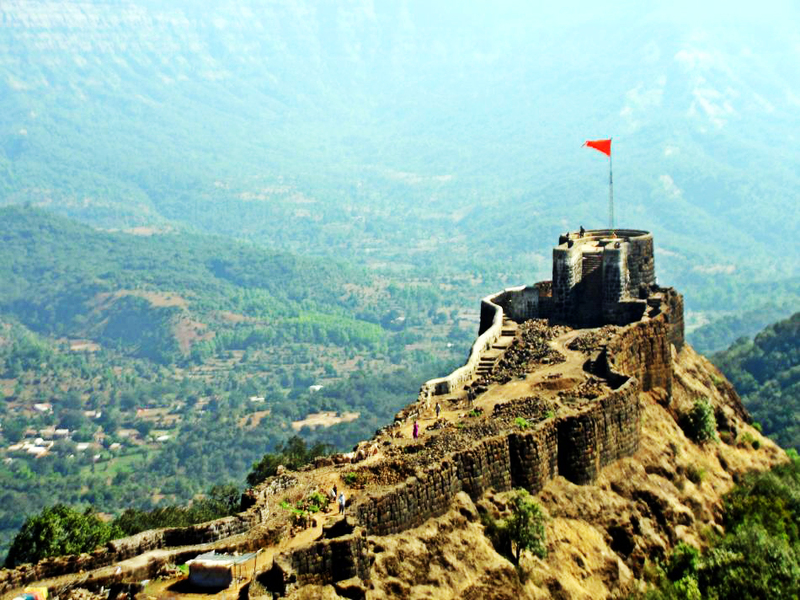 Mahabaleshwar in Sanskrit means ‘God of great power’. 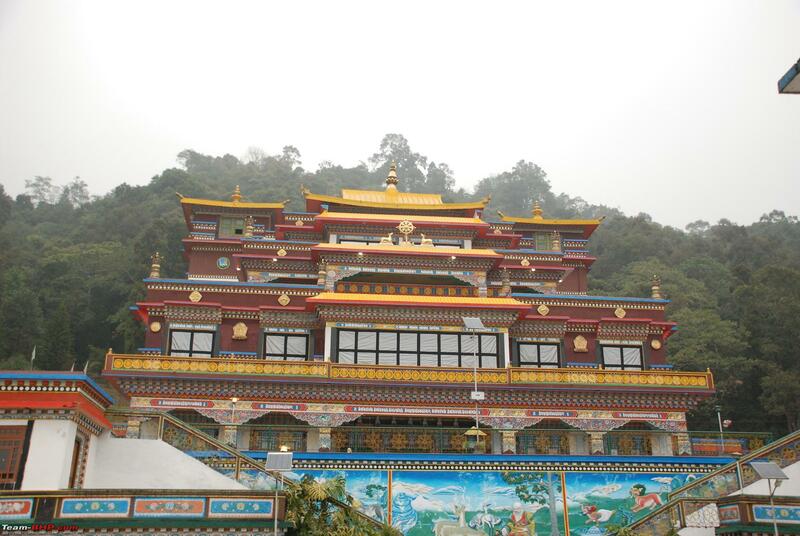 This place is indeed rewarding with a mix of old-world charm, natural beauty and modernity. To me, its more like a weekend getaway… to bask in the lap of nature in monsoons, to relish the juicy strawberries and enjoy the biting cold in winters and a grand escapade from the city heat in summers. Mahabaleshwar is located in the Western Ghats of Maharashtra at an elevation of 4,440 ft above the sea level. 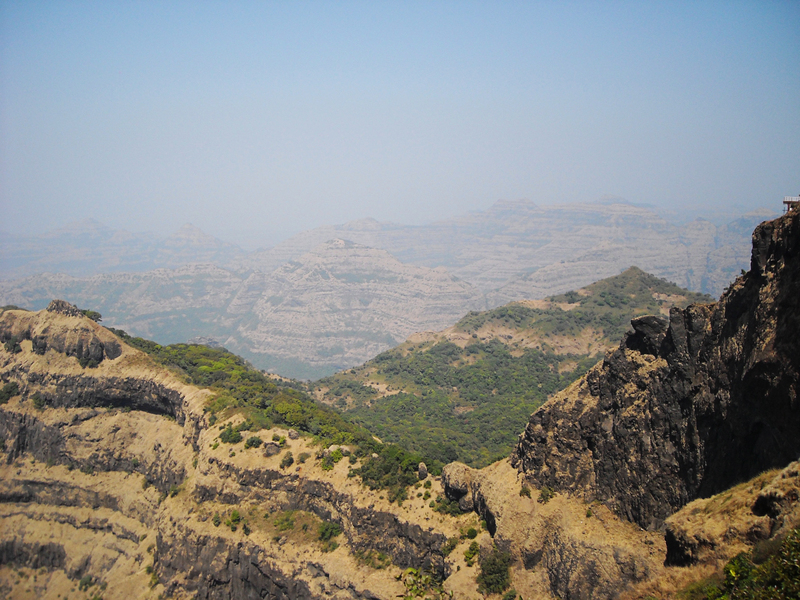 It is at a distance of about 120 km southwest of Pune and 285 km from Mumbai. Though the distance can easily be covered by car, we always prefer travelling by bus which is a good 7-8 hours journey. This is our way of saving energy to have a chilled-out, relaxed holiday rather than exhausting it driving from one place to the other. The town itself is quaint and charming but bit overcrowded. Some of the establishments are really old and trace their origin to the 19th century. 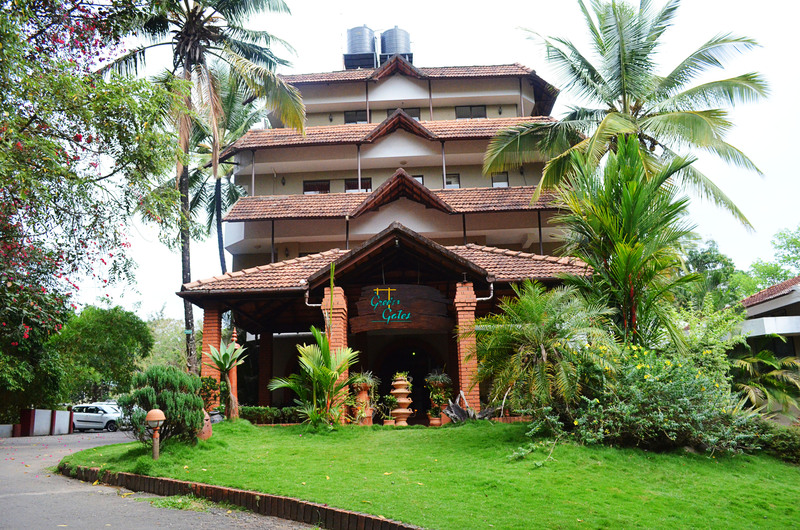 Stay: In Mahabaleshwar, you can get hotels suiting all pockets, i.e., from budget hotels to 3 Stars ones. You can get a hotel from where you can enjoy the lake’s view or even in the midst of the Mahabaleshwar’s famous market. The market is loaded with small shops selling shoes, Kashmiri wear and the famous Pashmina shawls, bags, clothes, handicrafts, artifacts and locally manufactured jams, jellies and fudges. It is mainly famous for shoes and you also get a good bargain. People go crazy buying shoes. Literally!! Tired after shopping and hungry too? Do not worry as the market has something for every appetite. 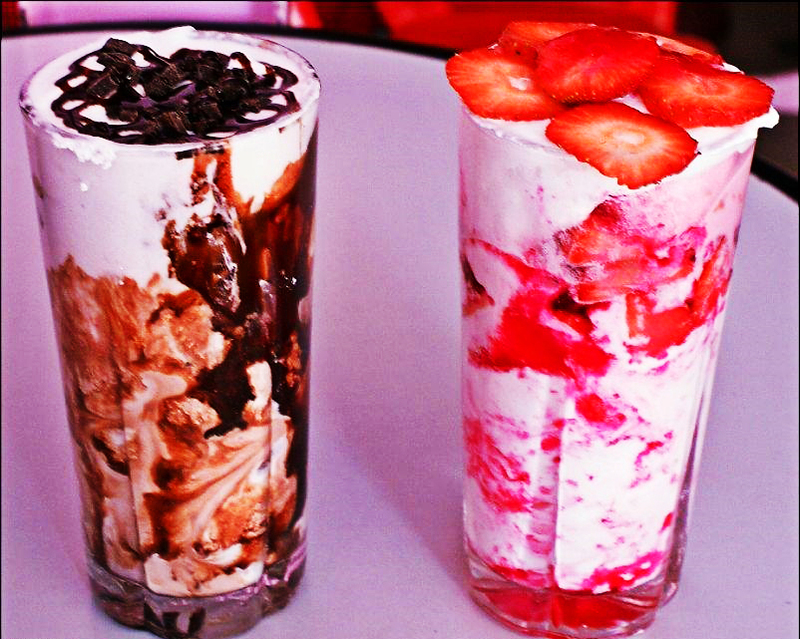 There are these juice and icecream parlours which serve fresh strawberry juices (or frozen depending on the season) and creams with a dollop of whipped cream on it and a variety of other flavours too. There are Chinese and Indian restaurants if you wish to have a complete meal. There are also carts that serve corn frankies and crispy, out-of-the-pan corn patties with green chutney and tomato sauce. These are the ones which keep calling you for more. And they did keep calling me again and again. I kept eating them as if there was no tomorrow. The cold and rainy weather and smoking hot crispy patties – the combination is incredible! 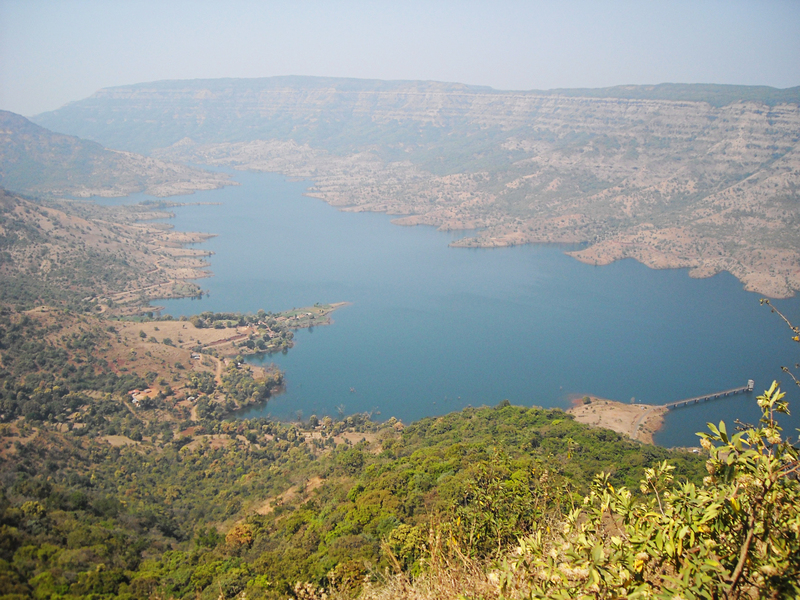 Venna Lake is one of the major tourist attractions in Mahabaleshwar. It is surrounded by trees on all sides. There are a whole lot of activities going on. 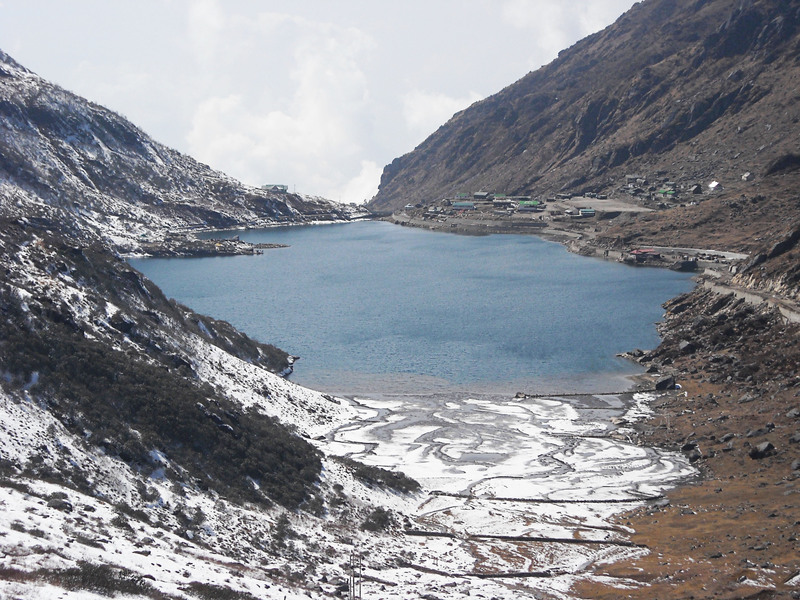 You can go boating, horse riding or just laze away by the lake, relishing the yummy bhel, roasted sweet corn, gorging on the crunchy, red, fresh out-of-the-field carrots or just sipping the steaming hot coffee. 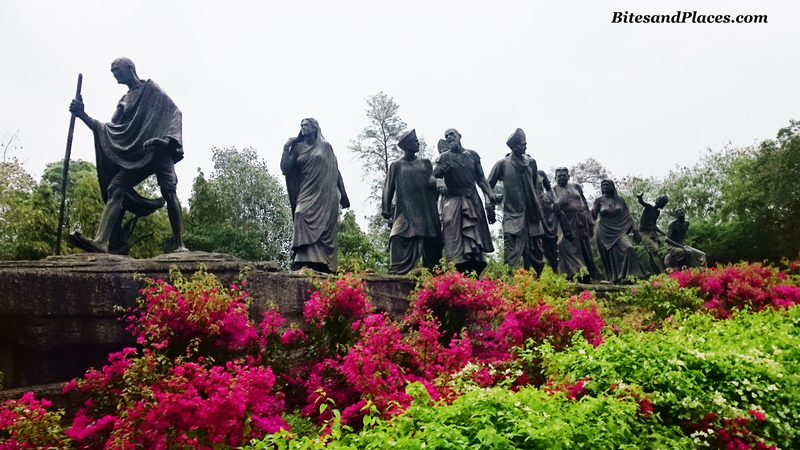 Mahabaleshwar has its own history. Shivaji, the great Maratha warrior king, had one of his base here. He constructed Fort Pratapgarh in 1656 which still stands tall. Tourists flock to take a glimpse of this mighty historical marvel. 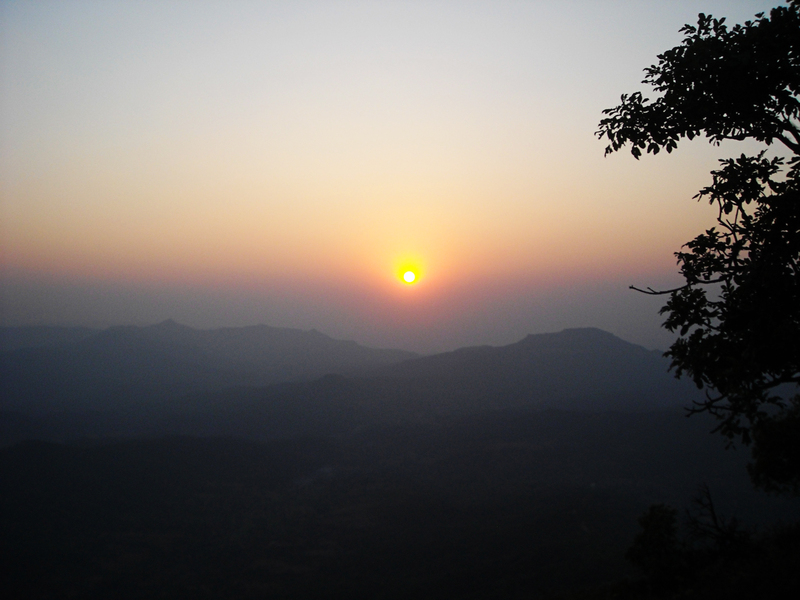 Besides the town itself, what adds to the beauty of Mahabaleshwar are its rugged mountain ranges and various points. 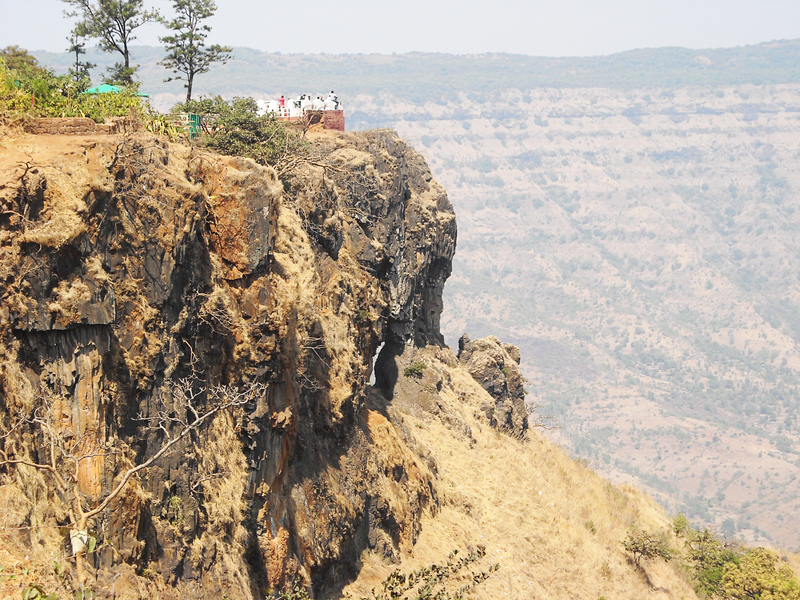 Locals say there are more than 20 points in Mahabaleshwar. 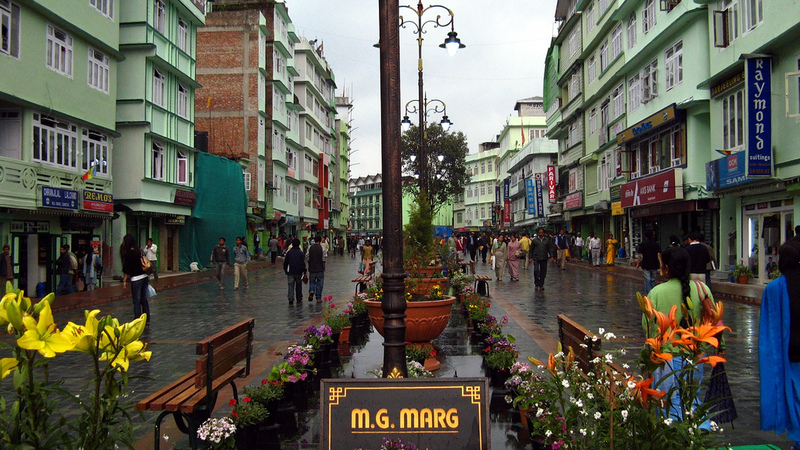 Table-top Point boasts of various Bollywood movies shot there. And it does look like “table-top”. There’s also horse riding and cart riding. Even the kids here have tamed their horses so well. The energy and interest with which they narrate the stories of the movies shot here is phenomenal. And the speed that they ride their carts and the control they have over their horses, is incredible! Needle Hole Point / Elephant Point is a natural rock formation with a hole in between. Thus the name. Also, the point if seen from a particular angle, looks like an elephant’s head. Wilson Point is named after Sir Leslie Wilson, the Governor of Bombay from 1923–26. 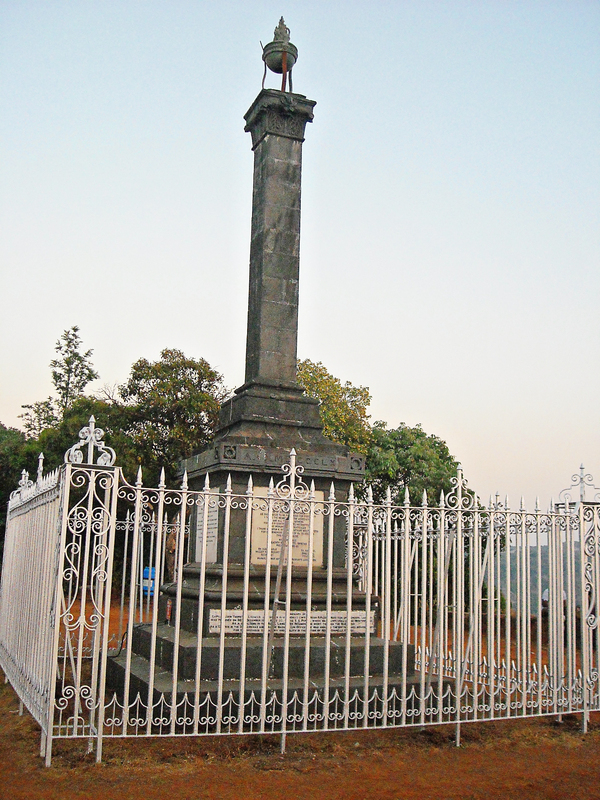 Wilson Point is the highest point in Mahabaleshwar. It is the only place from where both sunrise and sunset can be seen. The path to the point is really rough. We had to go horse-riding to avoid spraining our legs and moreover, to reach in time for the sunset. The pic below says it all, doesn’t it!! Apart from these, there are also Monkey point and Arthur Seat point which are famous among the many other that adorn Mahabaleshwar. We’ve visited Mahabaleshwar in all the 3 seasons. 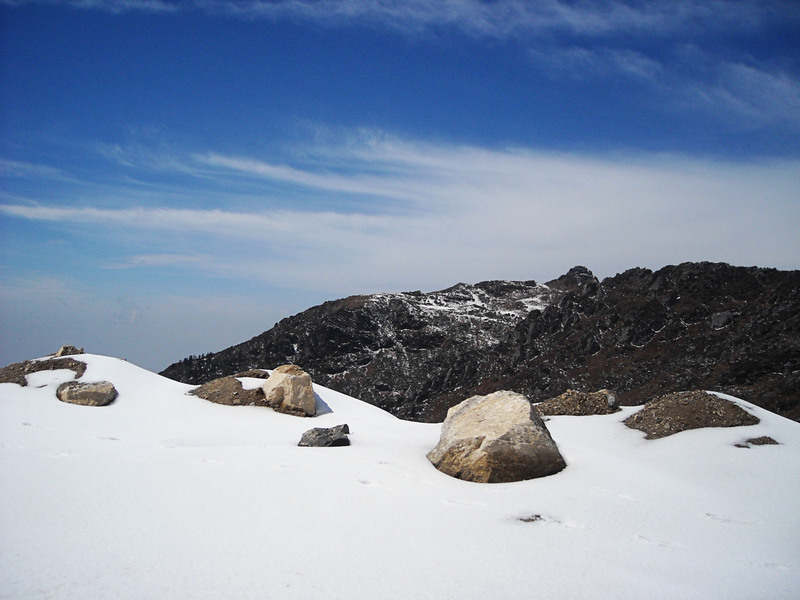 In winters, it is that coy beauty with beaming rosy cheeks… this is a metaphor for the red juicy strawberries that add to the beauty of this hill-station. 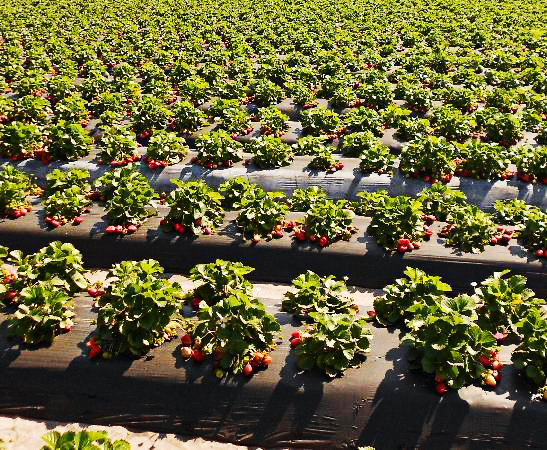 The sightseeing packages also offer farm visits. 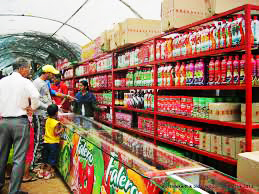 Mapro Foods in Panchgani, seems to dominate the local economy, with every street and corner having a Mapro sales counter. The tour operators also include a Mapro visit in their package. They have a whole array of products like jams, jellies, dessert toppings, crushes, fudges, etc. It has become more like a picnic spot with a lot of snack counters dishing out a variety of sandwiches, pizzas, milk shakes and more to serve your appetite. 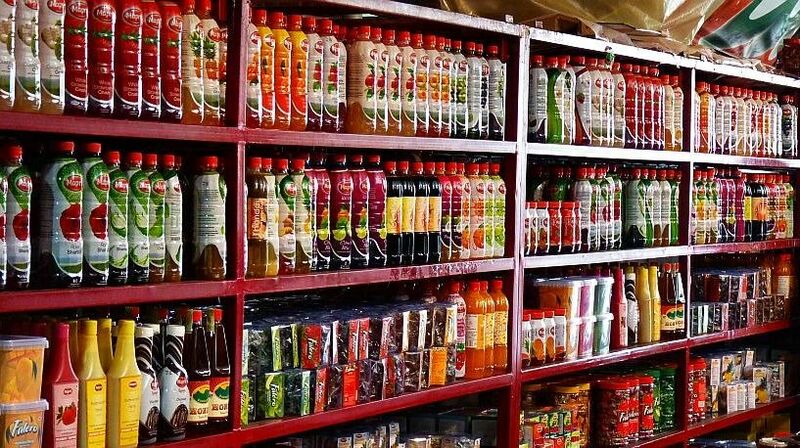 Giving a cut-throat competition to Mapro is Mala’s which also runs a parallel market with its products. 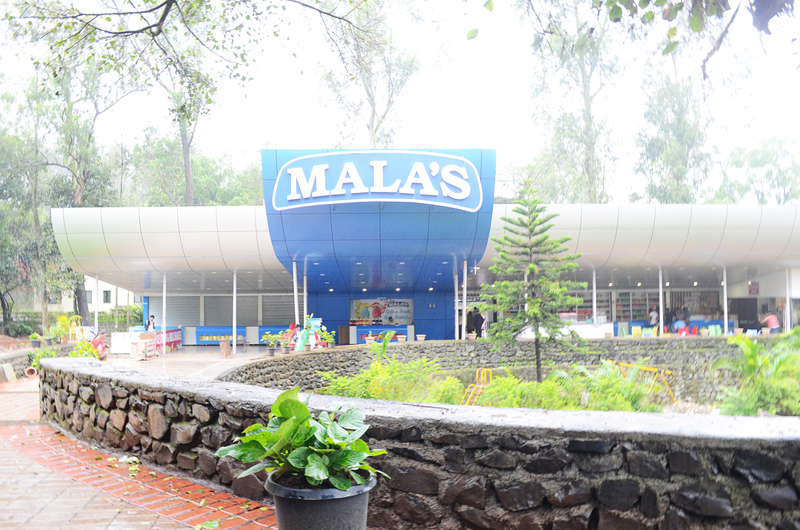 A visit to Mala’s, and you also get a peek at its jams being manufactured right in front of your eyes… although from a small window. 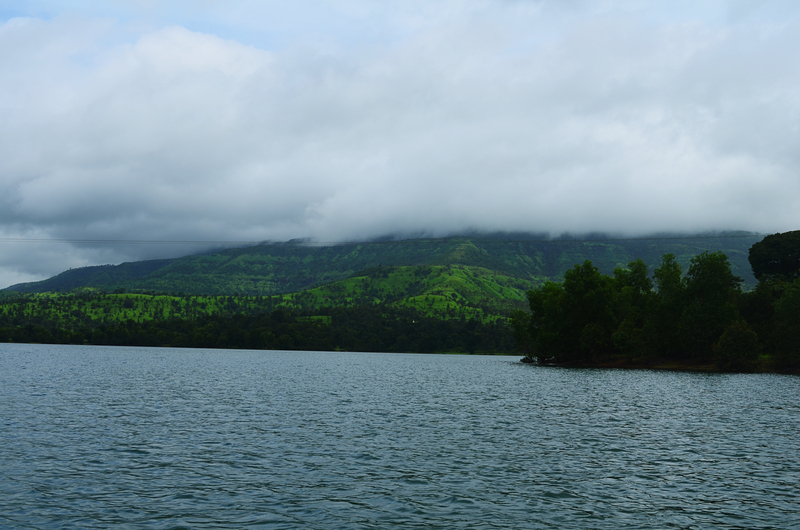 It’s monsoons and Mahabaleshwar seems to be calling already. It has so much to offer! During every visit, in the battle of my tummy and eyes, my tummy always wins. I always get so stuck treating my palette, that I miss out on the other points and places that I’m still yet to see. This visit, I’ve promised to do justice to my eyes. Hope I live upto it! 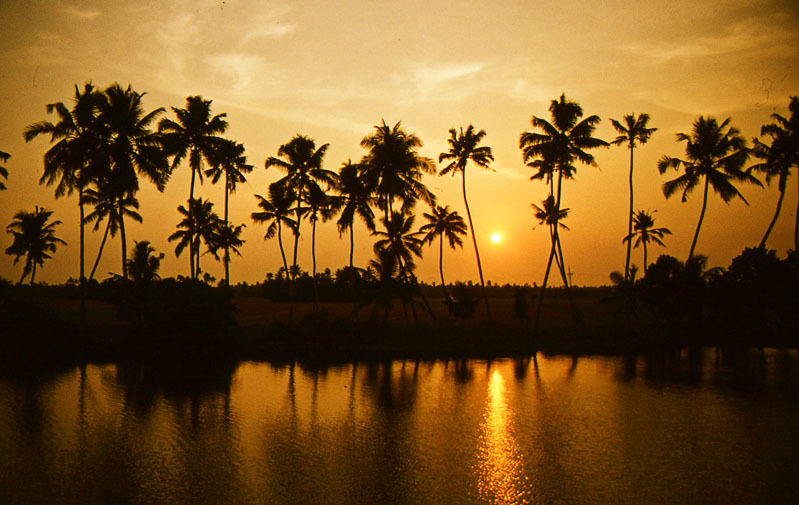 Kerala, popularly known as God’s Own Country is arguably one of the best tourist destinations in India today. It is the land of exotic backwaters, beautiful hill stations, palm fringed beaches and rich flora and fauna, not forgetting the traditional houseboats and divine cuisine. No wonder, vacationers from all parts of the world flock to this South Indian beauty all through the year. I dint want a hush-hush trip. I wanted to be there and soak Kerala within me. So we decided to dedicate one whole week of our ever busy year to our beloved abode. 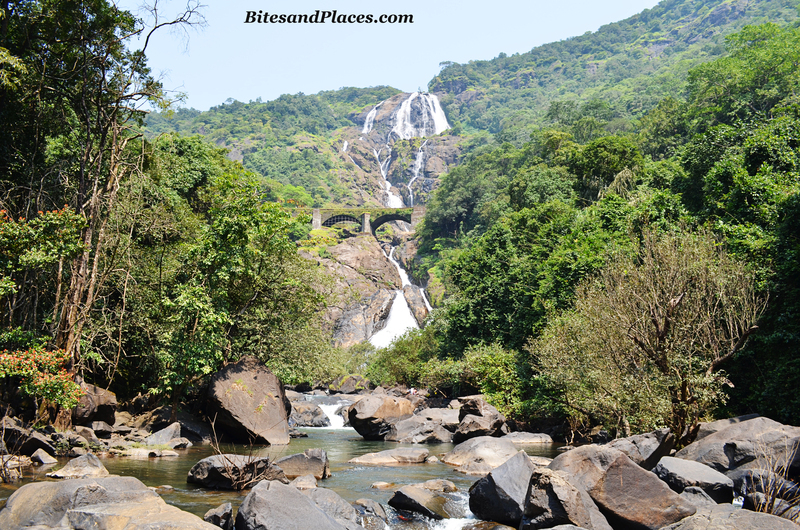 We took a flight from Mumbai to Kochi airport and headed to Munnar by car. It took us 5 hours to reach Munnar. But when we set our foot in there, all the tire was worth it. Munnar is serene, cool and peaceful. We stayed at the Edassery Eastend Hotel. The hotel has all the necessary amenities and an array of rooms to select from. 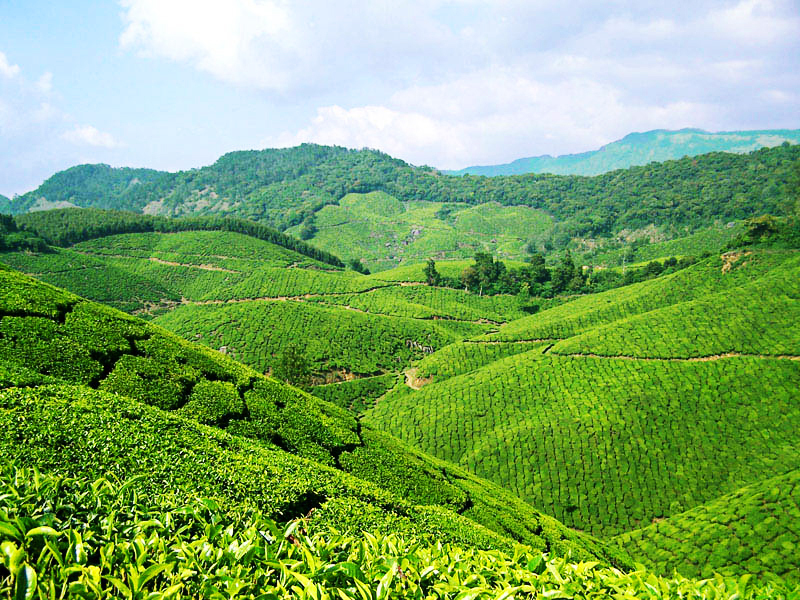 Munnar: The next day was dedicated to sightseeing, where we were whisked to the famous tea-plantations and tea factory. We couldn’t stop ourselves from buying a whole lot of variety of teas and the home grown coffee. The Echo point is worth visiting and so is the Matupetty Dam. 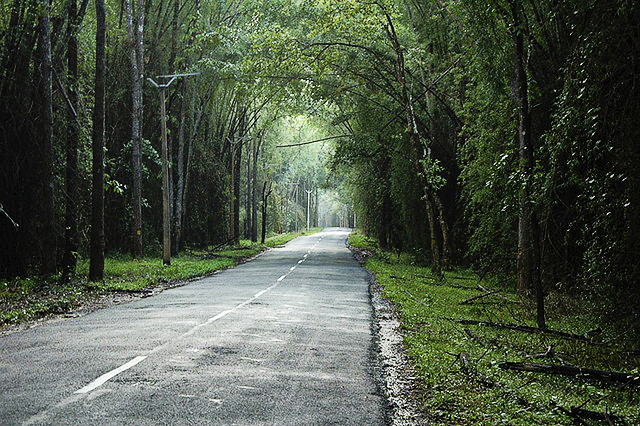 Thekkady: Its a 5 hours drive from Munnar. 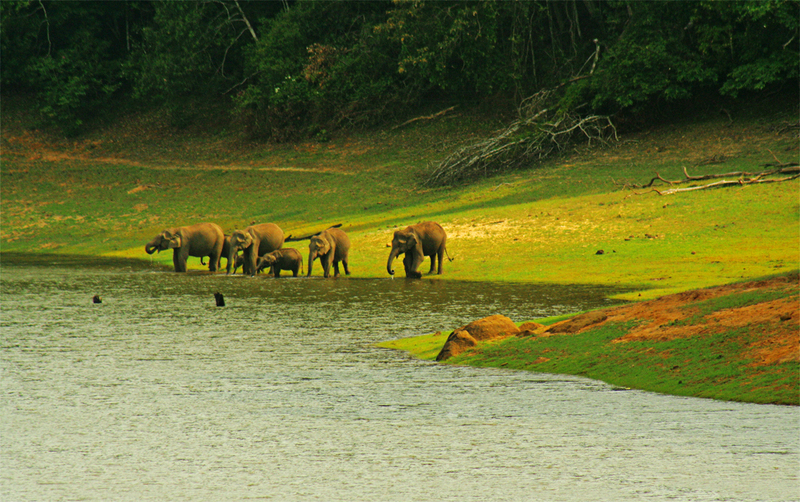 Thekkady is famous for its spice plantations, ayurvedic massages and the Periyar Wildlife Sanctuary. We experienced all of it. 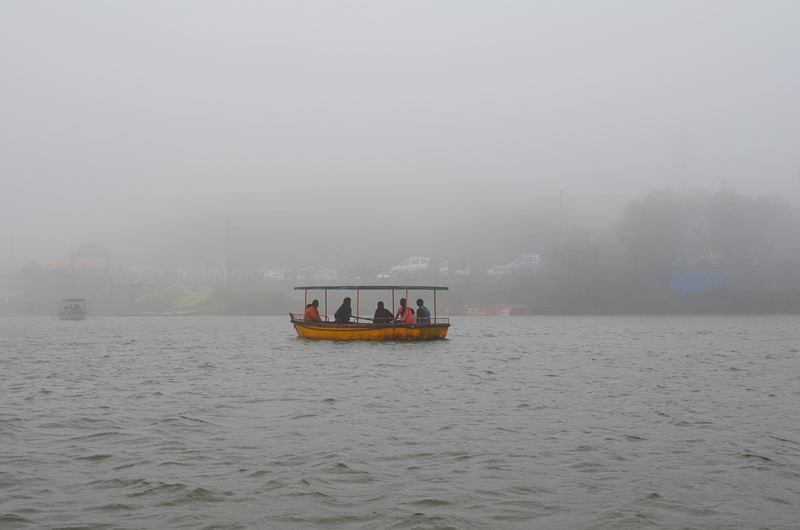 We made a nice boat trip in Periyar. It is a man-mad lake. The backwaters of Mullaperiyar Dam built in 19th century, form this lake which is enveloped by lush green forests. In this hour-long boat trip, tourists with all their might, try to sight the animalin their wild. 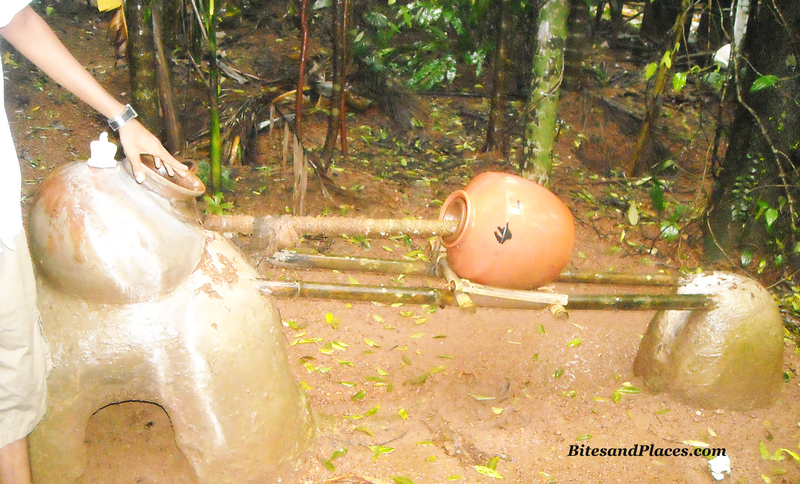 We were in luck as a group of elephants had come quench their thirst. Wayanad: After 2 nights in Thekkady, we proceeded to Wayanad which has a repertoire of being a rain-forest, studded with lush green flora and equally beautiful fauna. We checked into the Green Gates hotel which is just a few minutes away from the main market area. The staff here are very friendly and ever ready to help. That night it rained heavily… literally!! 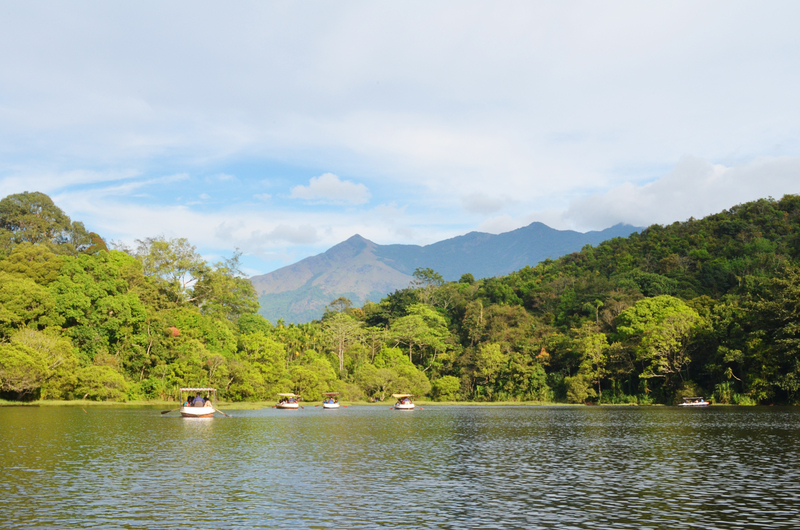 Pookode is a natural fresh water lake nestling amid evergreen forests and mountain slopes. Boating facilities, children’s park, handicrafts and spices emporium and fresh water aquarium are some of the tourist attractions here. Vythiri Resort! This was our next halt in Wayanad. We had heard a ll good things about this resort which compelled us to spend one whole day only to explore the resort. ‘Seeing is believing ‘stands true here. 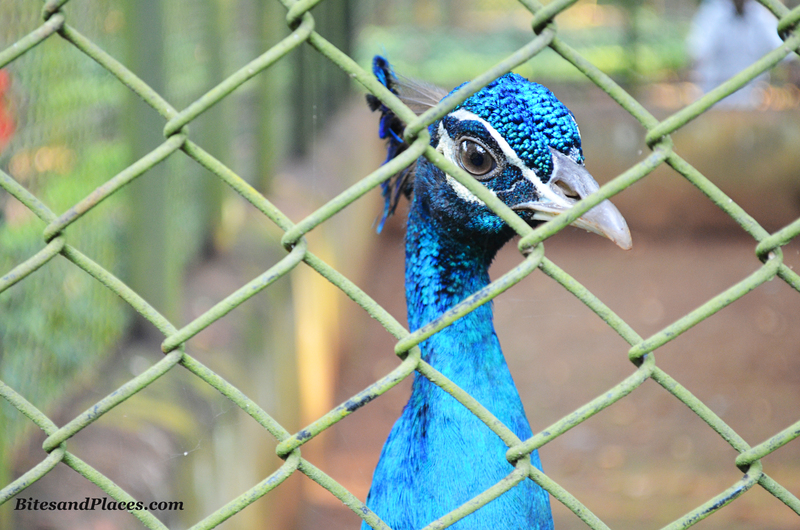 They have their own Malabar Squirrel and the sound of insects, birds and the flowing river soothes all your senses. 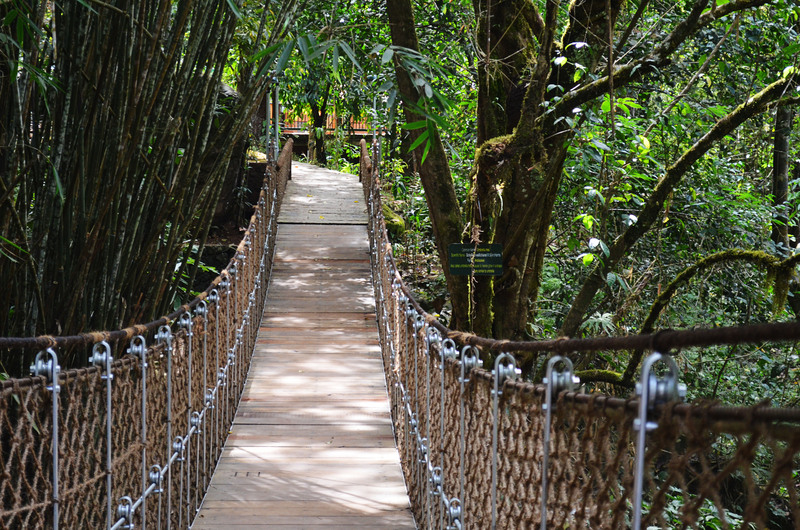 An exquisite eco-friendly jungle getaway in the heart of Wayanad, its in perfect harmony with nature. They have a mindblowing spread of lunch and dinner buffet… it seems like cuisine from every corner of Kerala is brought under one roof. One day was truely not enough to explore Vythiri. Allepy: Allepy was the last leg of our trip. It is undoubtedly “the Venice of India”. 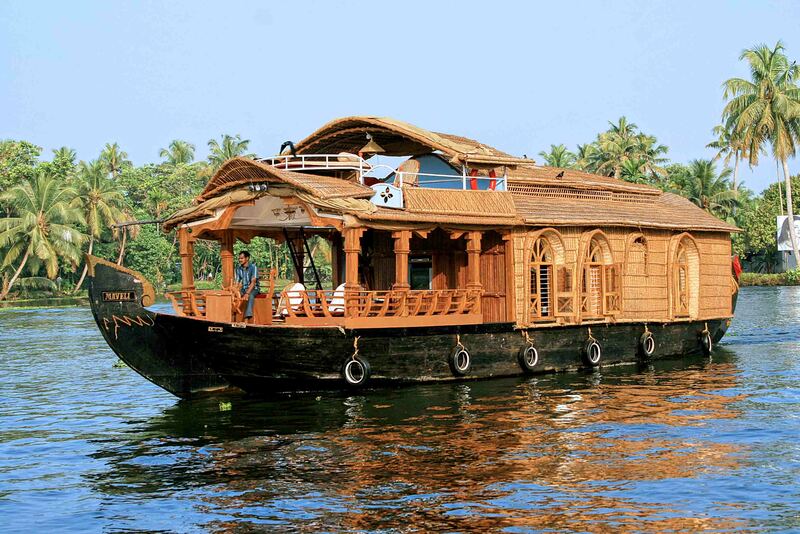 A trip to Kerala is incomplete without a houseboat stay. It is the most relaxing experience for any age, size or type of people. The boats are extremely eco friendly, merging smoothly into the panorama. We had us booked on a one bedroom houseboat which was comfortably furnished with an open lounge, one bath attached bedroom and a kitchenette. It was manned by an oarsman and a cook. The not-to-be-missed spectacle in Alleppey is, of course, the Nehru Trophy Boat Race. It is now a major event held on the second Saturday of every August and features the gigantic snake-boats of Kerala, the chundans. Kerala is every food-lover’s paradise. 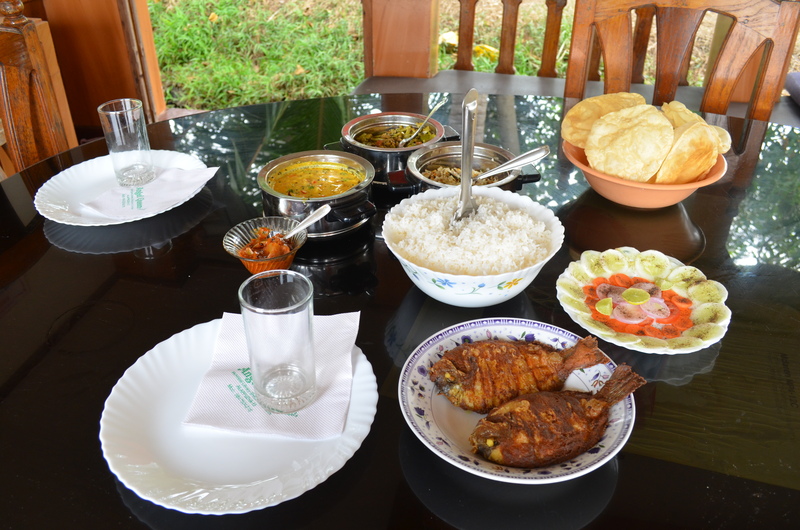 Kerala cuisine offers a multitude of dishes, ranging from the traditional idli-sambar to seafood delicacies. With its coconut tree loaded coastline, the cuisine of Kerala is characterized by the use of coconut, either chopped or grated and used as garnishing, coconut milk or paste is used to thicken gravies and coconut oil is used for cooking. 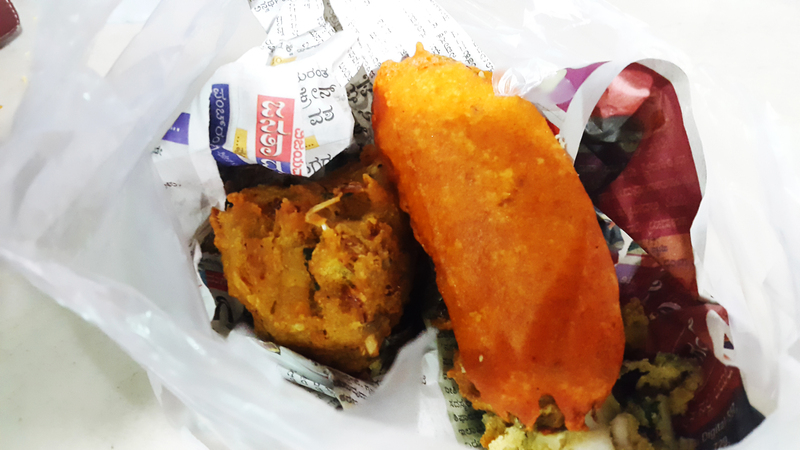 Breakfast includes the mandatory likes of idli, chutney, sambhar, dosa, puttu and appams. 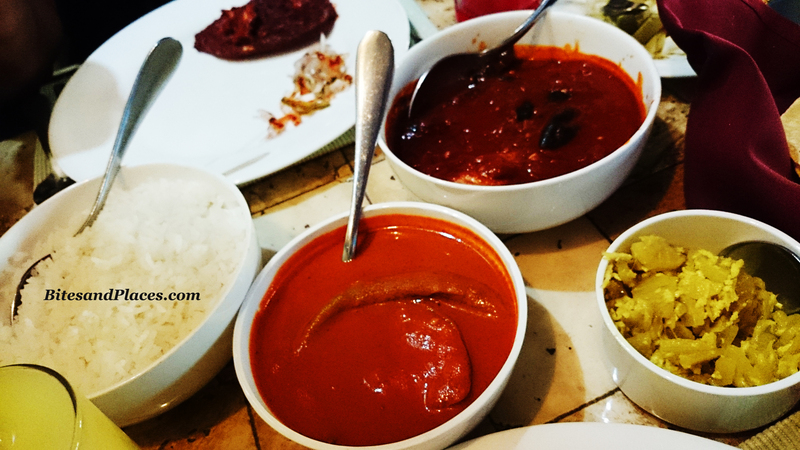 The main course includes the local rice served along with sambar and ghee, kichadi, aviyal, a couple of vegetables, a sourish rasam, pappadam, pickle, raita. A divine but humble dessert, called payasam completes the meal. Unniappam, vatalappam and palambari (fried bananas in flour) are some of the other famous sweets here. 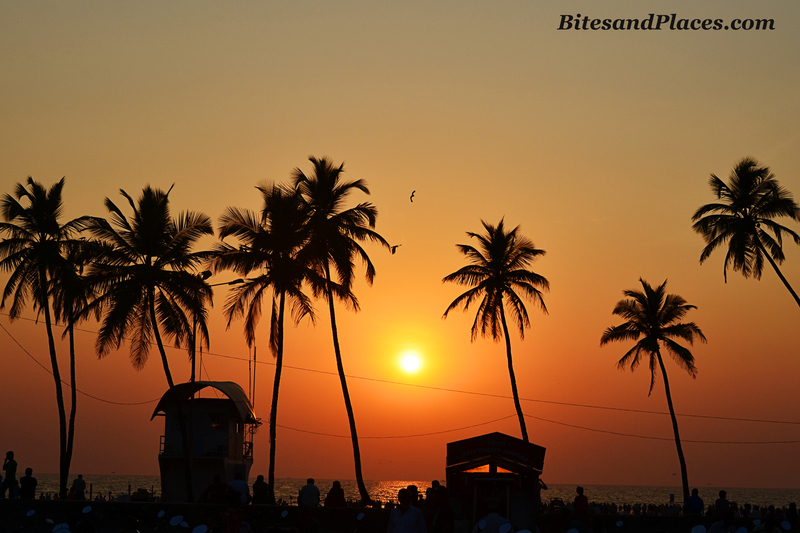 There is so much more to Kerala… its people, places, culture and cuisine. One trip is just not enough to explore this God’s Own Country!!! Ever covered an entire city in a jiffy? We did. And this tour describes it the best. We had just two days to cover New Delhi and Agra. Sounds crazy, doesn’t it? Actually it was. With a tight budget of just five days, we had to tour Agra on Day 1, gobble up Delhi on Day 2 and then rush off to Mussoorie for Day 3 and 4 to be back home on day 5. Now that’s crazy! We arrived in Delhi on the 13th of March at 12.30 midnight. (Please don’t dare to. Ever. It’s totally unsafe to venture out so late in Delhi. Even the cops there concur). Checked-in at 2. Hit the sacks at 2.45 and woke up at 4.30. We had a bus to catch at 6.15 that would take us to Agra to visit the one of the wonders of the world and the monument of my dreams… The Taj Mahal! It was a cold Delhi morning. Very cold and foggy. I was super thrilled to puff that wintery smoke…something which is almost extinct in Mumbai these days…umm…winters. Flashes me back to my childhood. I used to take great pride in this activity while riding my bicycle to school early morning. I used to be a tomboy back then, a male soul trapped in a female body. Breakfast of butter-soaked parathas and steaming hot coffee later, we headed out to board the bus. I had pre-booked the seats for Delhi – Agra – Mathura – Vrindavan bus tour with Delhi Sightseeing. (www.delhisightseeing.com) . It was 8.30 by the time the bus actually left for Agra. It’s a four hour journey. At 10.30 we broke for snacks. 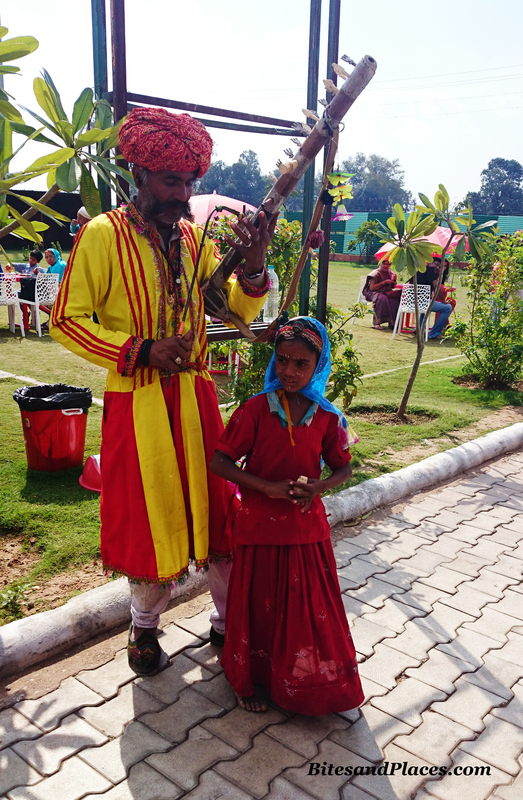 Outside this small eatery, this pretty little Rajasthani girl danced while her grandpa played the sarangi. There was something really touchy about his voice! I loved their fiery traditional wear, and specially their spirit. Why? In that scorching where we sauntered in our expensive glasses, protecting our faces with scarves and stuff, these humble beings performed to make their living. Hats off! Sun was blazing mercilessly. The windows had no sun-films to protect us from its wrath. Well, there was a reason. To get a clear view of the monuments or tourist attractions that would whizz by, while the bus drove at an incredible speed. We hardly did notice anything. All my weary eyes noticed were two strikingly handsome Afghani youths who shared the adjacent seat. Four hours of menacing bus drive later, we finally reached Agra. A tourist guide hopped on to explain all the dos and don’ts. We were sold passes to the Red Fort before alighting. We were handed over to Mr. Dipu Sharma, an immensely knowledgeable septuagenarian with undying spirit and bonhomie. 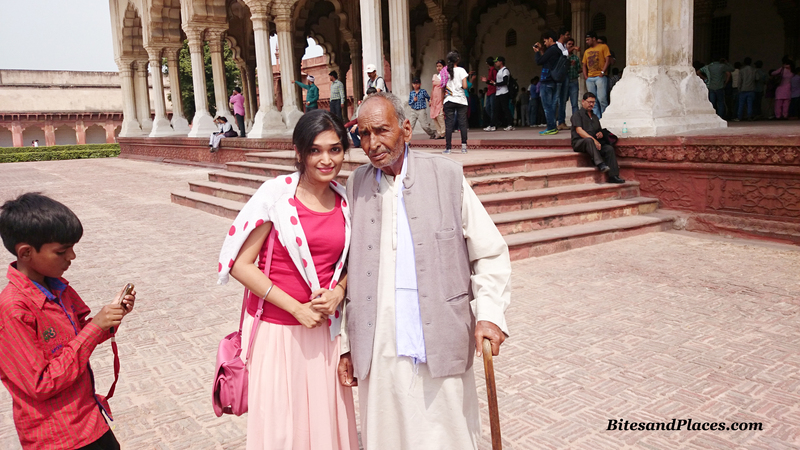 He lives in Fatehpur Sikri and travels to Agra daily, by bus, just to quench his thirst of teaching us tourists the history of the soil he belongs to. Gobsmacking! It was difficult to catch up with the scurrying Dipu ji. But we had to. We couldn’t afford to miss out on the tales of the Emperor and his wives. 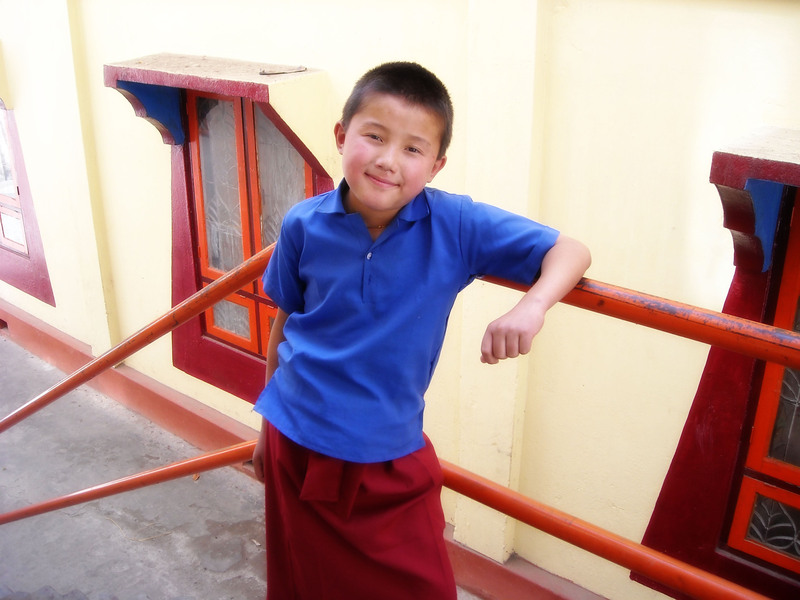 Sunny, an effervescent young lad was his assistant. A chatter-box that I am, it didn’t take me much time to make friends with both, the old and new generations. Lal Quila or The Red Fort: Built from Red Sandstones, this massive structure is a UNESCO World Heritage site located about 2.5 km northwest of its more famous sister, the Taj Mahal. Don’t mistake this one with the Red Fort of Delhi. They are two different entities altogether, with a different appearance and history. 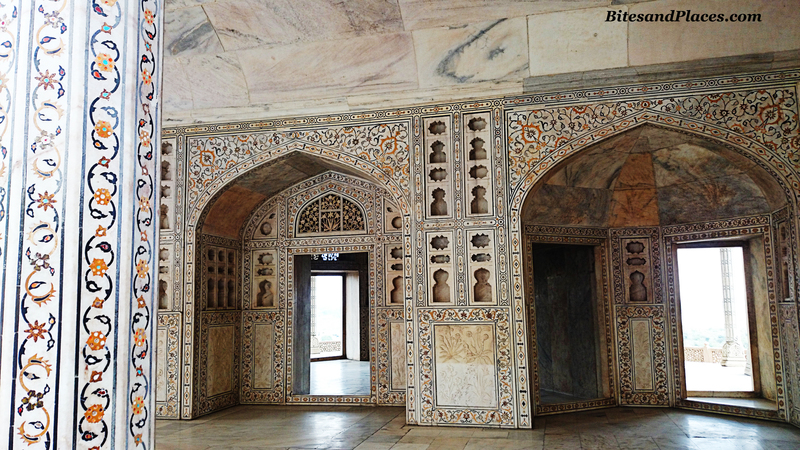 With the Sheesh Mahal, Diwan-e-aam, Diwan-e-khaas, Angoori Baugh, Khas Mahal and some of its other exquisite structures, the Lal Quila is no less awe-inspiring. Our revered Military occupies major part of its territory now. 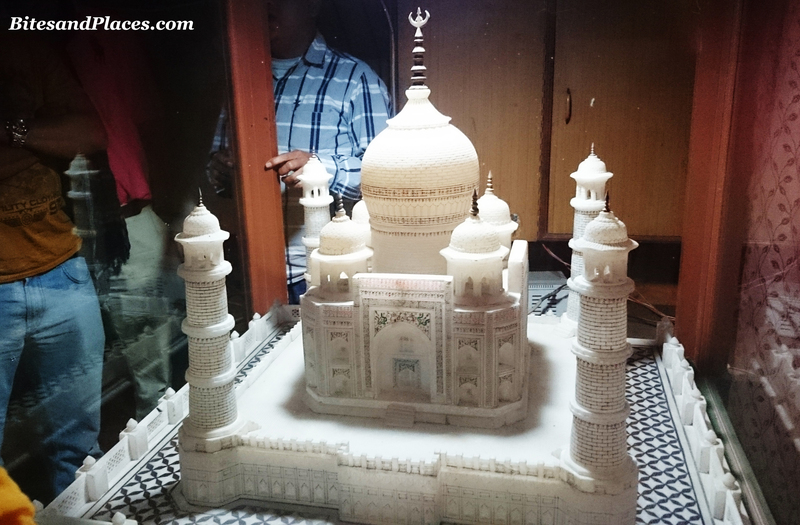 After bidding Dipu ji goodbyes, we were driven to a Government owned shop at the western gate of the Taj Mahal, that sells beautiful replicas of the monument and other marble souvenirs. They also sell exquisite sarees woven from bamboo fibres, banana fibres and silk. Some so fine that they easily pass the finger-ring test. No kidding! Something more enchanting than the material of the sarees is that they are woven by the women inmates in the prison. Now that’s something worth a buy, isn’t it! Also, don’t forget to parcel the famous sweet, the Petha, commonly known as Agra Ka Petha. Buy it packed in small boxes so you can gift it as a souvenir back home. It was 4.30 by the time we reached Taj Mahal. Passes to the monument were sold in the bus itself (Rs. 20 for Indian tourists. Rs. 700 for foreign tourists) along with the make-do plastic shoes (Rs. 10). I, as an Indian, take utmost pride in the fact that one of the wonders of the world belongs to My country. And I’ve been longing to bring myself here since the time I’ve known about it. Today was the day and this was the moment. My wait was finally over. The atmosphere was grey, peppered by slight drizzles and cool breeze… perfect backdrop for romance! Separated by beautifully manicured and blooming gardens, picturesque landscape and a long stretch of azure blue waters stood the epitome of love, the marvel of an epic, the exuberance of grandeur and the personification of beauty… The Taj Mahal! Aye dios mio! It’s breathtakingly divine! One look at the magnificent mausoleum and you are catapulted centuries back, to the time it was born. Its history is equally fascinating as is its architecture. Plonked on the southern bank of river Yamuna, the Taj Mahal houses the tomb of Emperor Shah Jahan’s beloved wife Mumtaz Mahal. You gotta take a plunge in its history to get to really know this manifestation of love and devotion. All I did in those 60 minutes was soak, soak and soak its divine beauty in my throbbing heart. 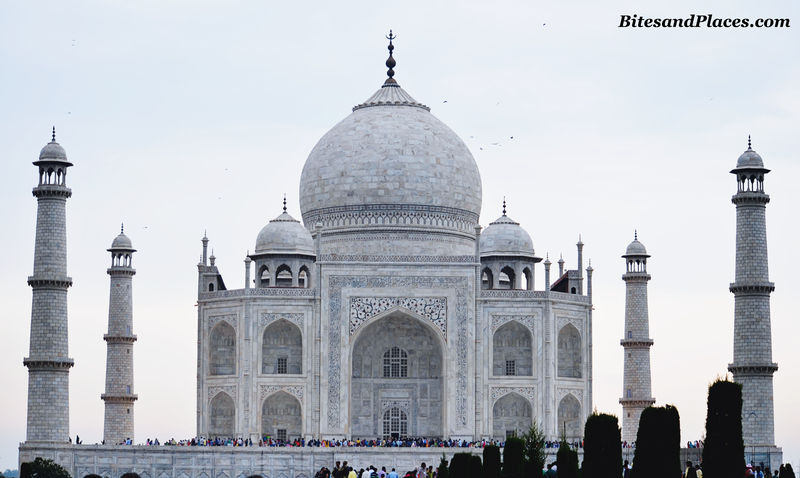 You GOTTA visit the Taj to watch this love saga come alive, right in front of your eyes! It started pouring by the time we left. A small chat with Sunny over a steaming hot cuppa and we left for Mathura. Bus took a detour via Mathura and Vrindavan before reaching Delhi. Mathura, the birth place of Lord Krishna, is one of the seven cities considered holy by the Hindus and has a mention in the revered epic, Mahabharata. We were supposed to visit the Mathura temple and the bus did halt. But it was pouring too much to actually step out without umbrellas. None of us had them. Rains in the month of March? Totally unexpected! Same was the case with Vrindavan, the place where Lord Krishna spend his childhood. Its was utterly heart-breaking to be there but not be in it. All we could see was darkness and downpours. Since there was nothing we could do, we returned to Delhi. It was a mind-boggling 1.15 am when we reached our hotel. “Rise and shine, honey. You have a long long day to go”, I told myself at the crack of dawn and scraped myself out of the cozy bed, looking forward to hit the streets of Delhi. 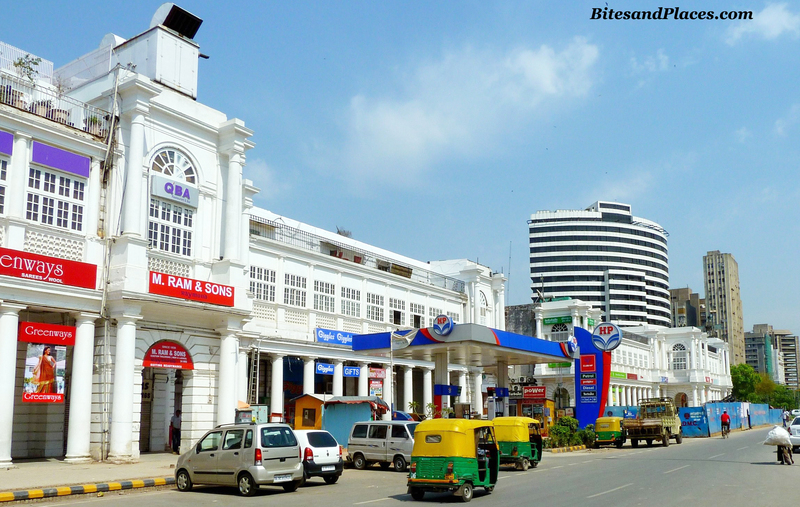 Connaught Place: The beating heart and microcosm of modern New Delhi. One of its largest financial, commercial and business centers. White-washed buildings and spotless streets give a feeling of being in a different country altogether. The place is lined with numerous shops, restaurants and cafes. 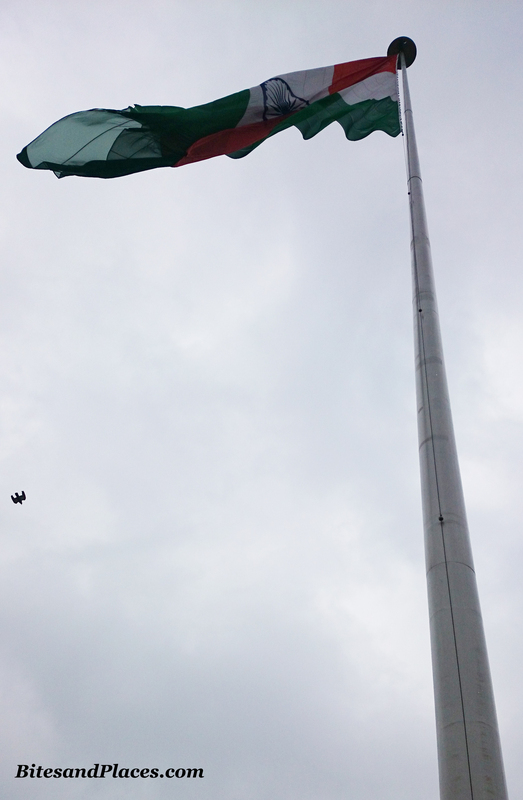 Not to miss the beautifully landscaped garden which houses a visibly huge flag that proudly undulates with breeze. Couples sneaking behind the bushes is another sweet sight to see. A delicious lunch of Kebabs and Biryani at the legendary Khan Chacha later, we pushed off to gorge on more of the glorious city. But before that, we found this hidden gem on the way. Well, not exactly on the way. It was discovered by Oniel on his last visit to Delhi. He was very keen on taking me there this time. 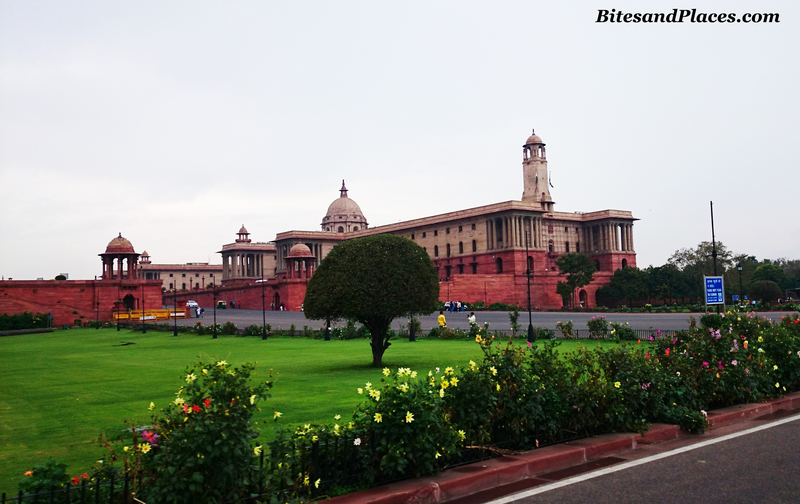 Rashtrapati Bhawan: Official home to the President of India. Its baroque architecture and use of heavy classical motifs emphasize power and imperial authority. The landscaping is absolutely stunning. 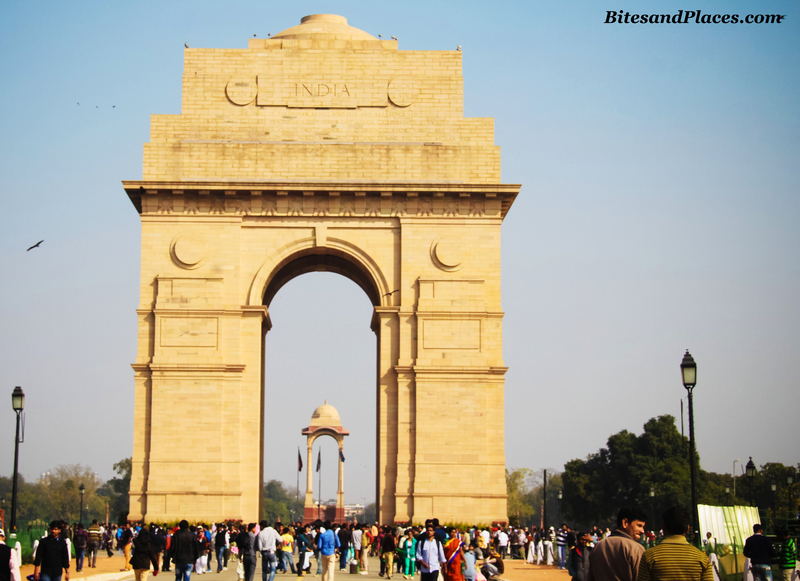 India Gate: The 42 metre high archway originally known as the ‘All India War Memorial’ was built to commemorate the 82,000 Indian soldiers who lost their lives fighting for the British army during the First World War. I zoomed my lens and took a picture of the inscription which reads, “TO THE DEAD OF THE INDIAN ARMIES WHO FELL HONOURED IN FRANCE AND FLANDERS MESOPOTAMIA AND PERSIA EAST AFRICA GALLIPOLI AND ELSEWHERE IN THE NEAR AND THE FAR-EAST AND IN SACRED MEMORY ALSO OF THOSE WHOSE NAMES ARE RECORDED AND WHO FELL IN INDIA OR THE NORTH-WEST FRONTIER AND DURING THE THIRD AFGHAN WAR”. We tourists, normally tend to ignore or avoid delving into such details. But I really want you to know how much we should value and respect our freedom. It costed thousands of our own men their lives after all! This is my purpose of typing the entire thing here. 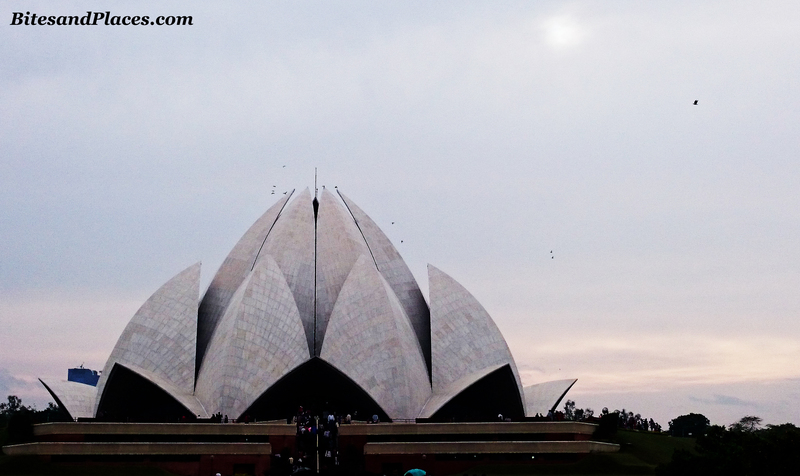 Lotus Temple: or the Bahai House of Worship is open to everyone regardless of religion or any other distinction. This award-winning, pristine white, lotus-shaped architecture is one of the most prominent attractions of New Delhi. 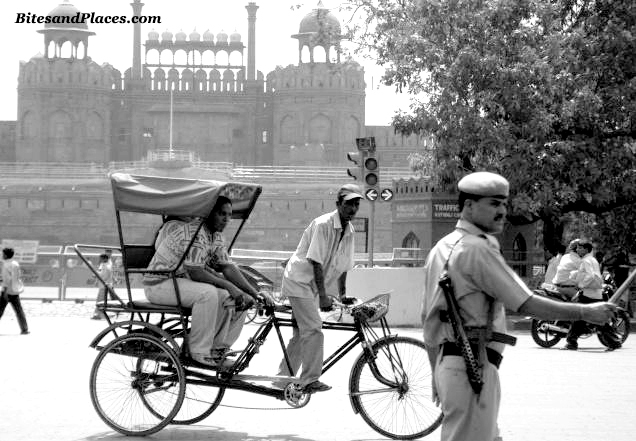 This is called Pedalling for Bread – The Cycle Rickshaw. Cheapest mode of commute, to us. But a real painful one, for them. Sad! 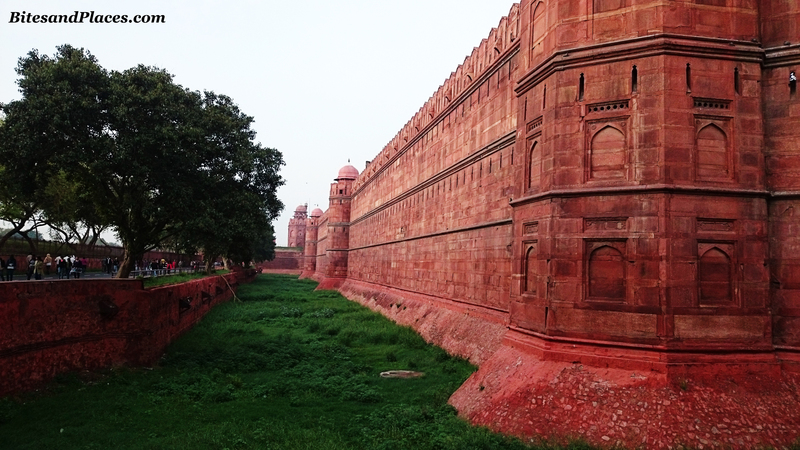 The Red Fort: Do not mistake this one with its Agra sister, although both were constructed by the Mughal Emperor, Shah Jahan. They say, this one’s way better than the latter in terms of planning and architecture. 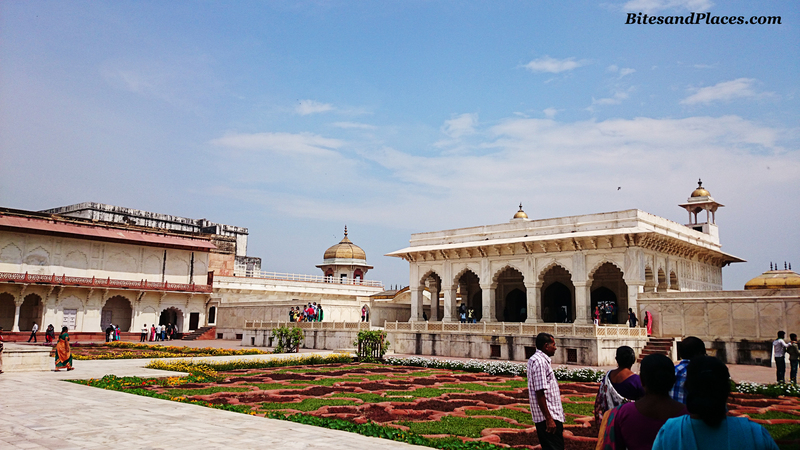 Unravel the essence of the Mughal Empire, right here in this formidable red historical wonder. Its colossal size is sure to take your breath away. We stayed at Hotekl Rupam which is tucked away in the bylanes of Karol Bagh. Although the area around the hotel is not that appealing, the location definitely is. Five minutes walk from Karol Bagh Metro Station, great connectivity to all the major Business Centres and Tourist Attractions and easy access to Karol Bagh’s famous shopping streets. What takes this hotel up a notch is the service. Mr. Manish Jha, the Manager, is tremendously helpful and so is his staff. We booked the Executive Room which we liked. Spacious, bright and comfy. Don’t expect a great view. Go on a culinary journey in New Delhi and you realize its feasting time every single day of the year. 1. Bukhara – is considered to be the swankiest and the best restaurants of New Delhi. 2. 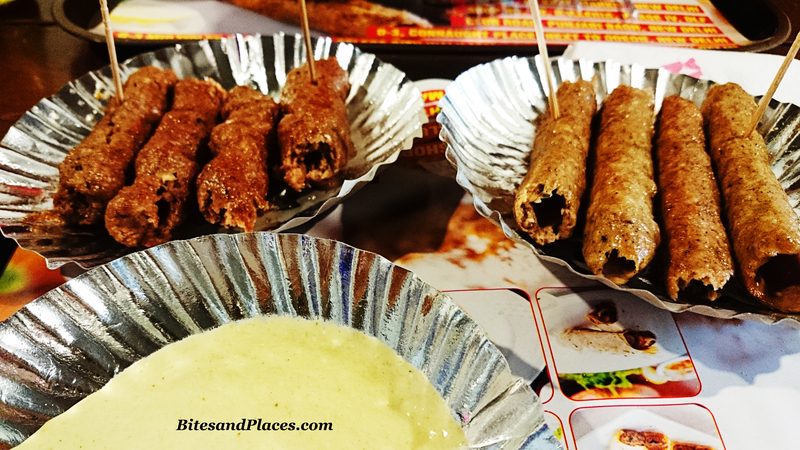 Karim’s – on the Jama Masjid road is one the locals swear by. Recipes of their famous Biryanis and Curries are heritage of the Mughal Era. 3. 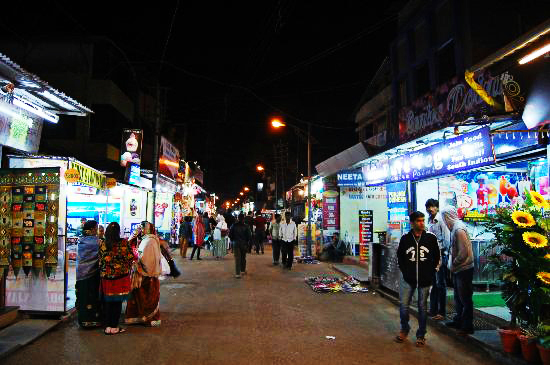 Paranthewali Galli – A street in Chandni Chowk famous for Stuffed Paranthas. These are just a few and the famous. There are more. You go here, you go there, there’s yummy food everywhere. So take your list, close your eyes, do the ini-meeni-mini-mo and set off to eat till your guts plead to stop. 4. 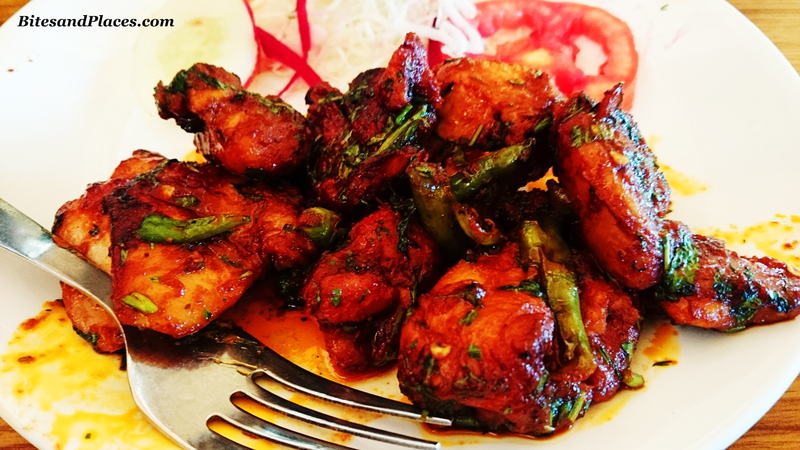 Khan Chacha – in Connaught Place is a highly recommended one. Sink your teeth into their famous Kakori Kebabs, Mutton Tikka and Chicken Biryani and finish it off with their Kulfi Rabadi. 1. Chandni Chowk – Its massive! Famous for imitation jewellery, spices, fabrics, bags and clothes. Crowds go berserk. There’s all possibility of you getting stripped off your precious shopping money. So beware! 2. Karol Bagh Market – Traditional dresses, princess-style shoes, spices, fruits and nuts packed in shiny paper and chrome motorcycle parts. 3. 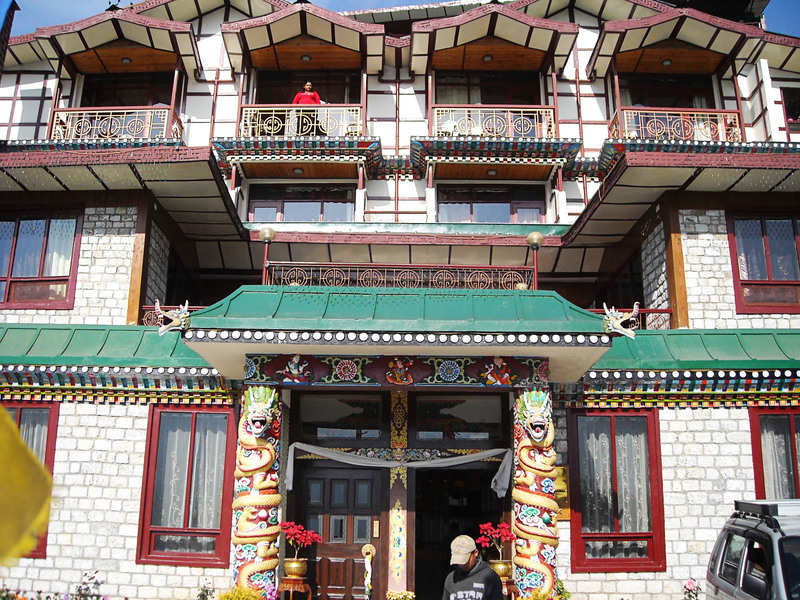 Baba Khadak Singh Marg – Handicraft emporiums, traditional arts, carpets, sculptures, paintings and more. 4. 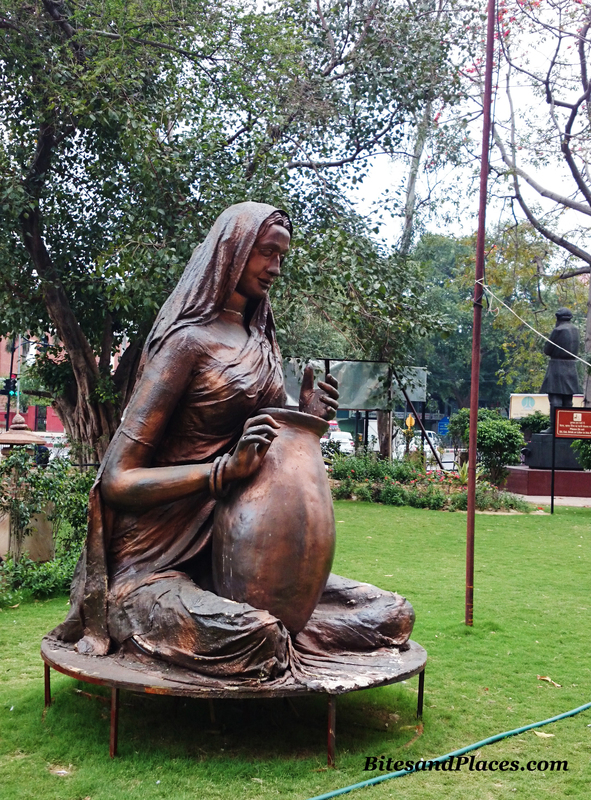 Kahril Baoili – oldest markets of Delhi and the starting point of Spice Trade Route. It leaves a huge impression of native India. Careful planning helped us make the best of both the days. There was still a lot to do and discover, but our time in Delhi had come to an end. Butter chicken might be the first thing that comes to your mind while ordering food, but do you know where this appetizing cuisine came from? The story of how butter chicken came into being is just as mouthwatering as the food itself. Butter chicken’s origin goes back to the days of partition. 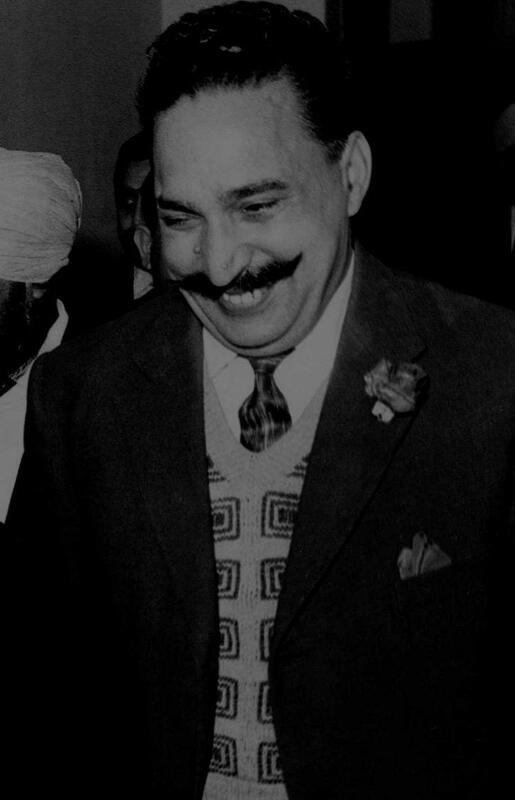 Nearly 100 years ago, the owners of Mukhey da Dhaba in Peshawar sold their outlet to Kundan Lal Gujral, one of their workers who later named it as Moti Mahal. Initially, the outlet was popularly was known for its tandoori chicken. But the sheer wastage of dry chicken, which they used to hang on the seekhs all day for drying, was becoming an issue for Kundan Lal. So, Gujral decided to play around with the thick gravy made with a lot of butter, fresh cream and grounded spices. And this gave birth to your favorite butter chicken.Gujral never sensed what was coming next after he moved to Delhi and opened his first outlet of Moti Mahal in Daryaganj. Now 70 years later, the Gujrals are running an iconic chain of restaurants worldwide, managed by their grandson Monish. Also known as Murgh Makhni, this form of butter chicken is a part of history in the world of Indian cuisine.